LEFTY 1969 Fender Tele, Near Mint Condition! 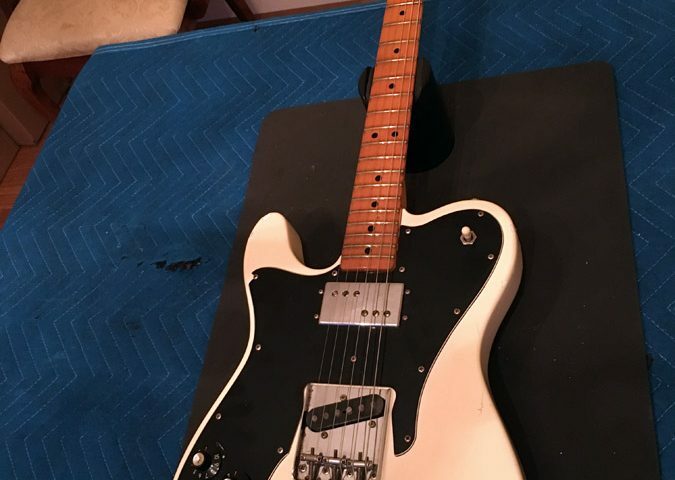 LEFTY 1969 Fender® Tele®, 100% Original with OHSC, Near Mint Condition, super clean example and impossible to find lefty vintage Tele® in this condition! 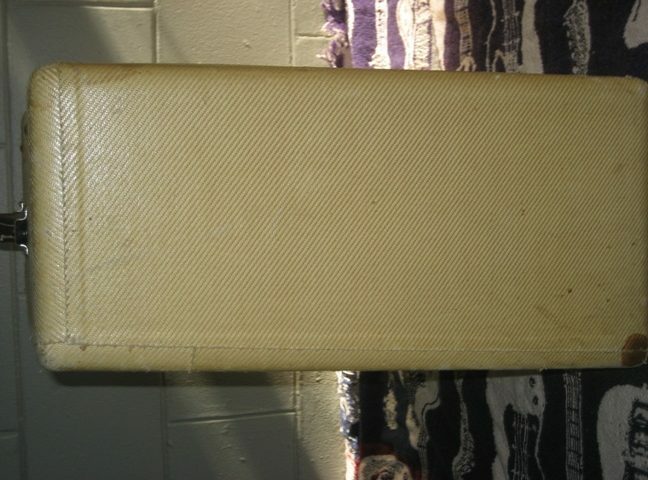 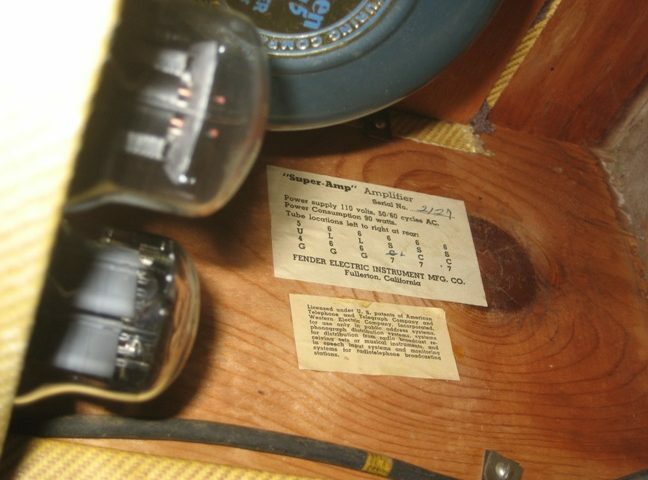 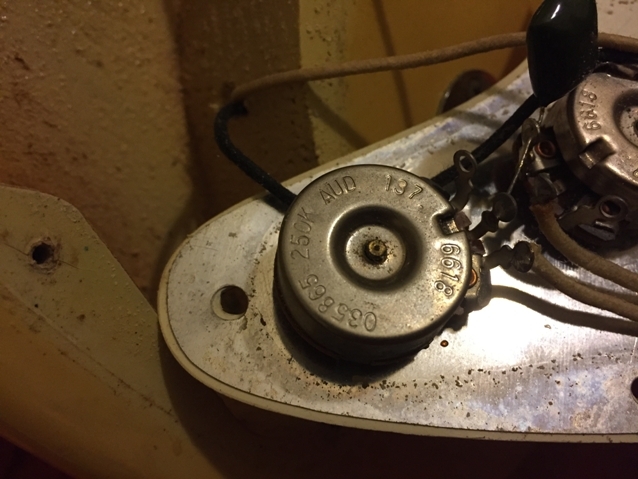 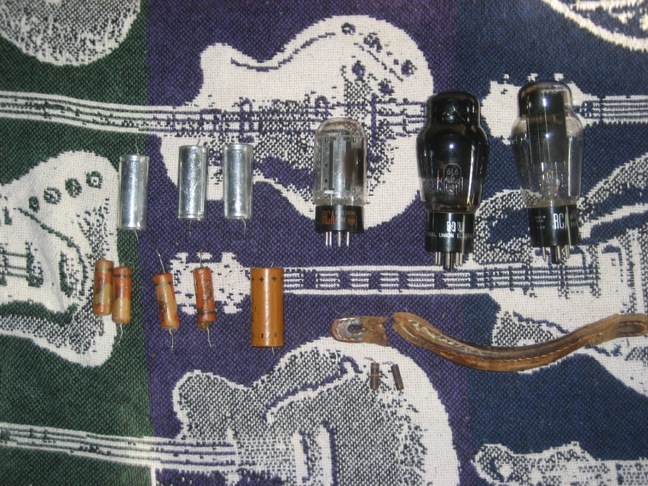 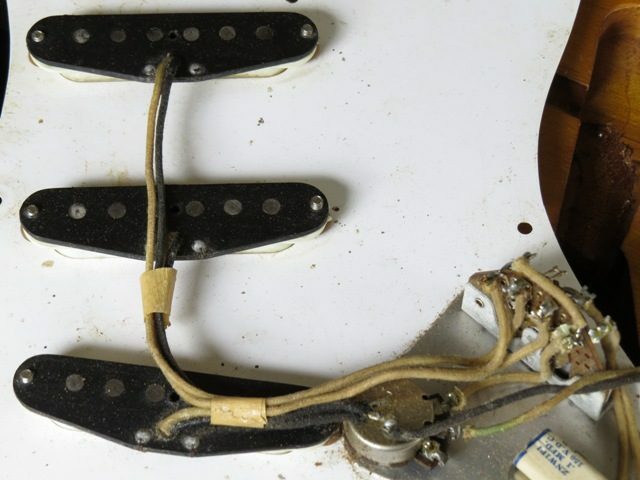 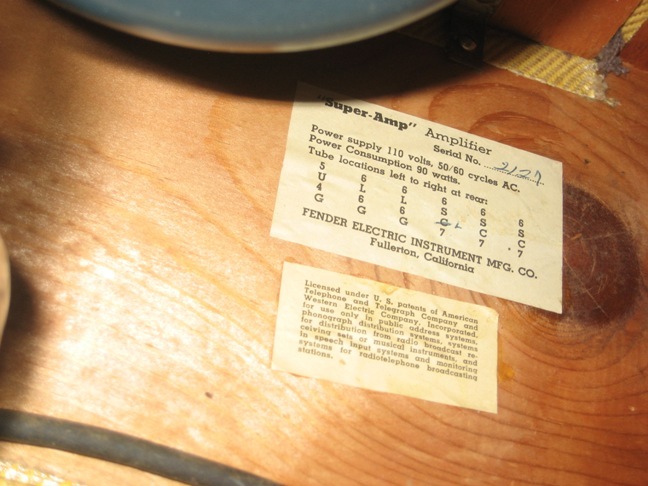 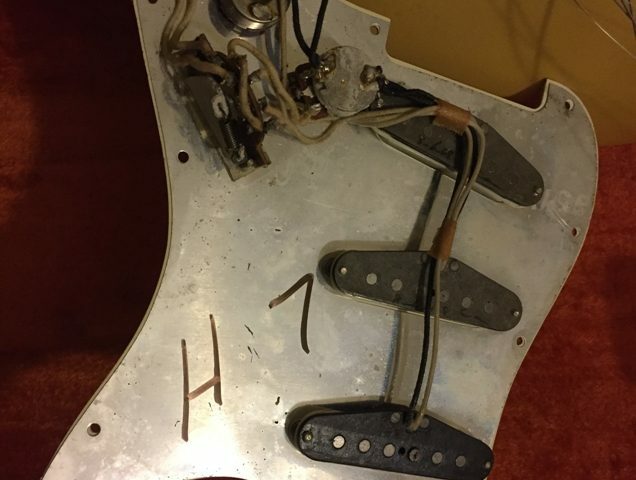 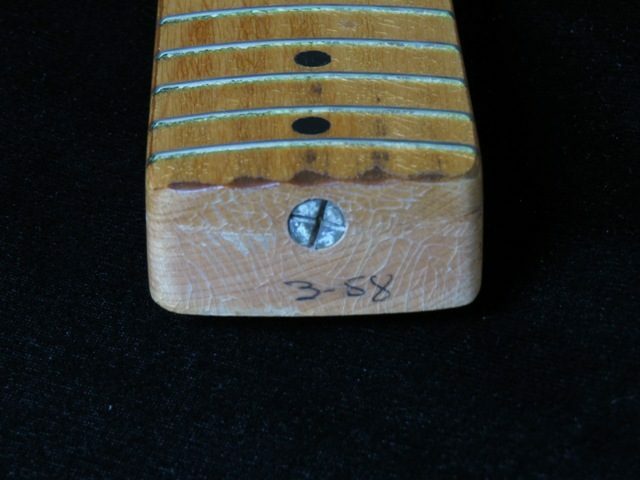 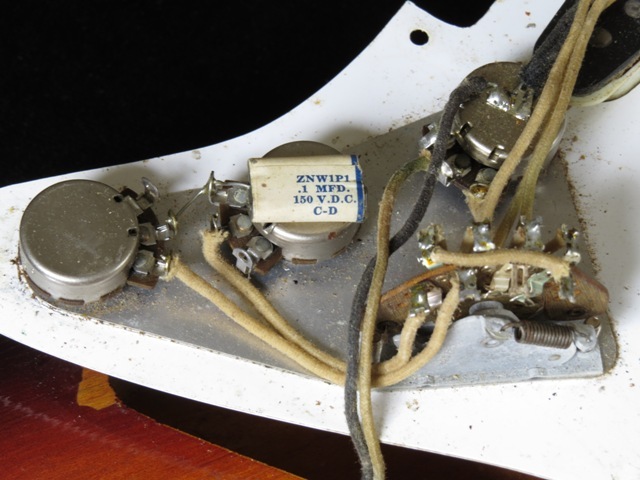 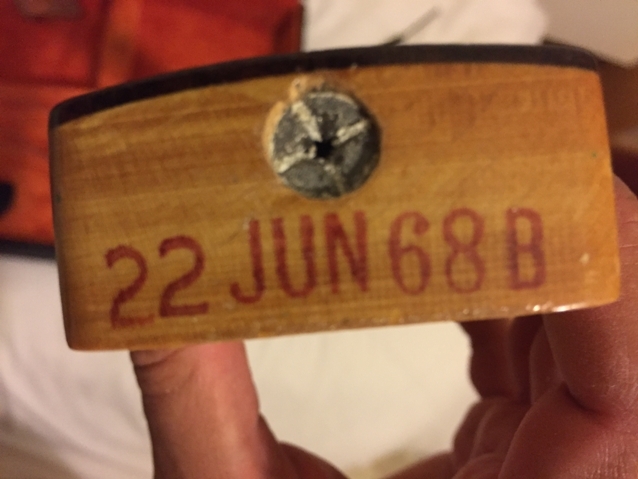 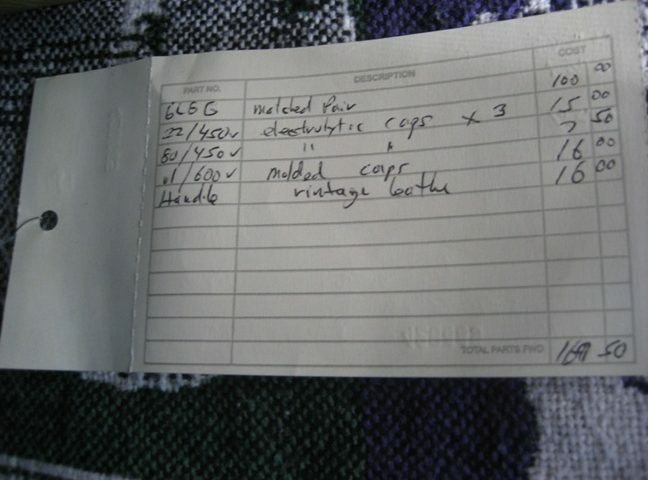 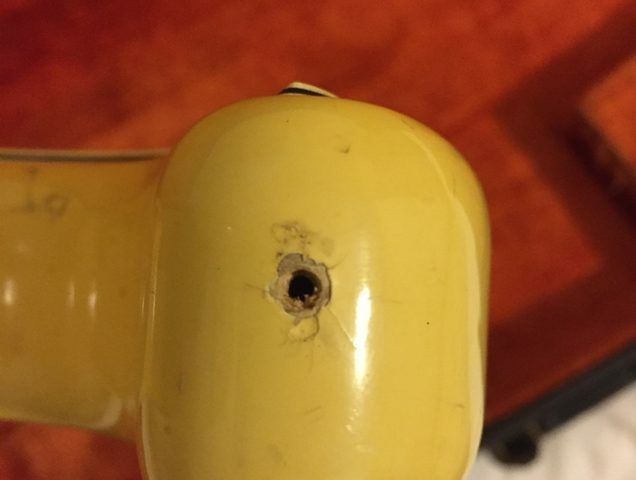 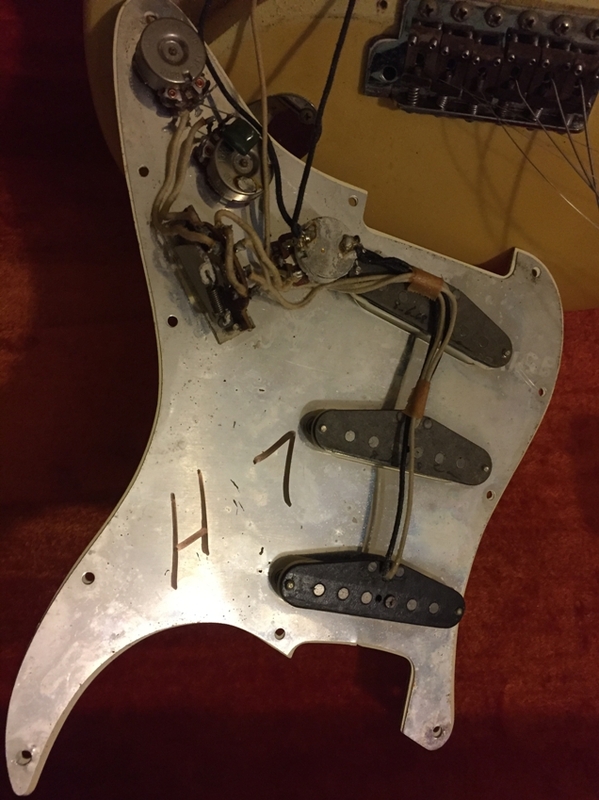 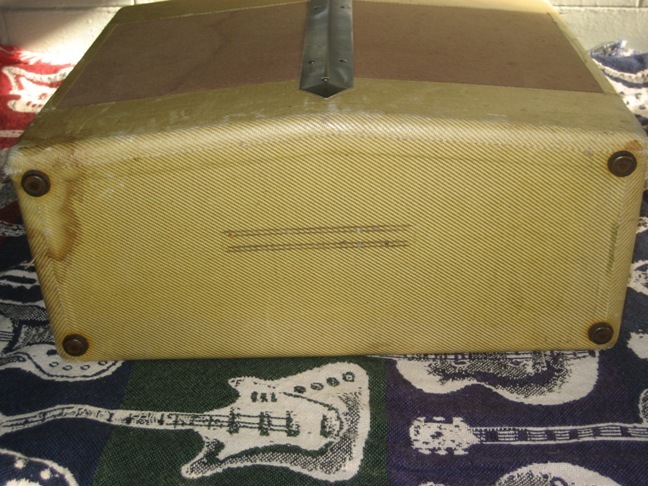 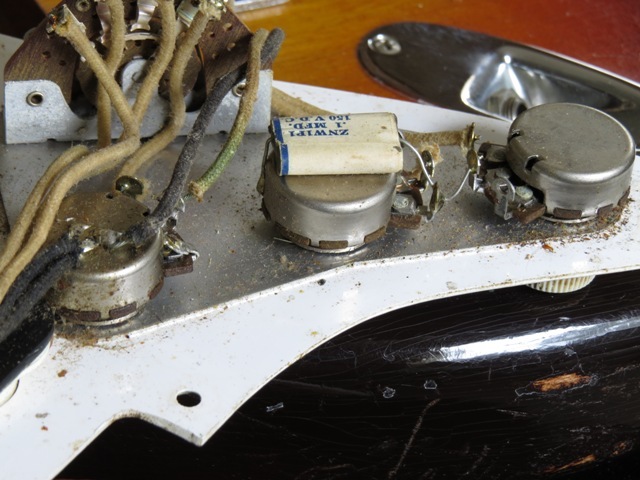 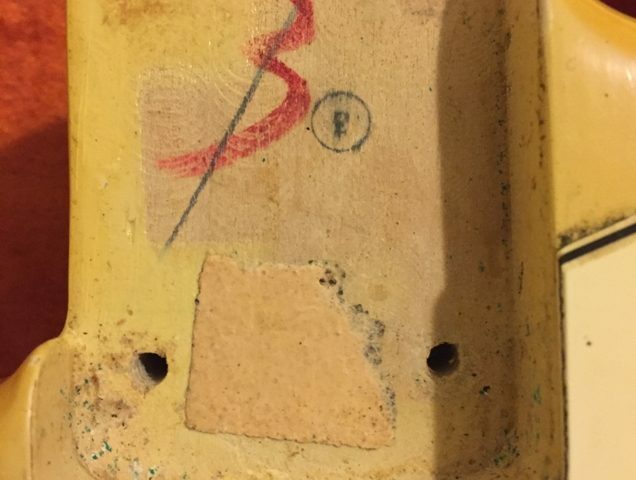 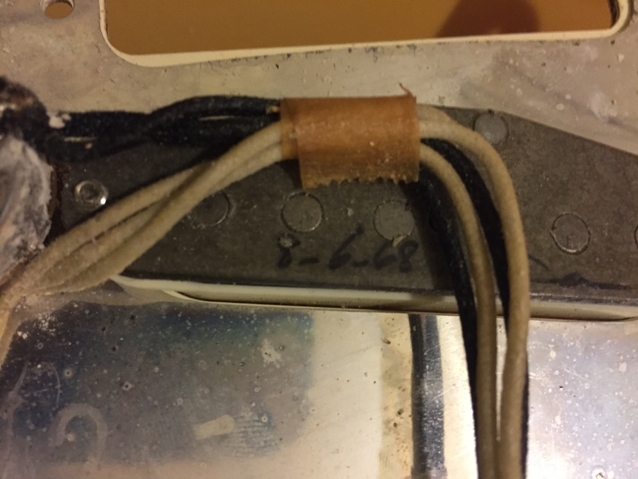 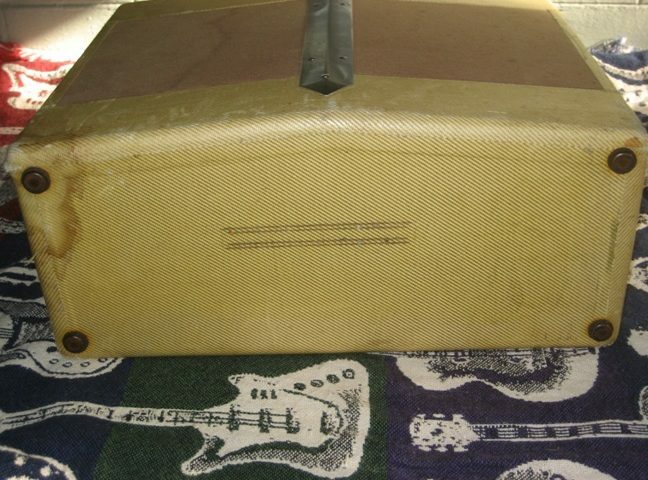 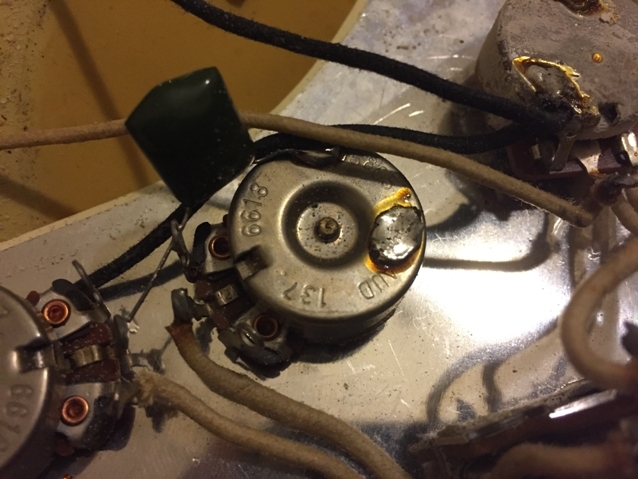 Dates are: F252952/neck plate, 3JUL69B/neck stamp, 304 6545/pots(typical late 65 pots, along with 1966 pots that Fender® used right through the late 60s). 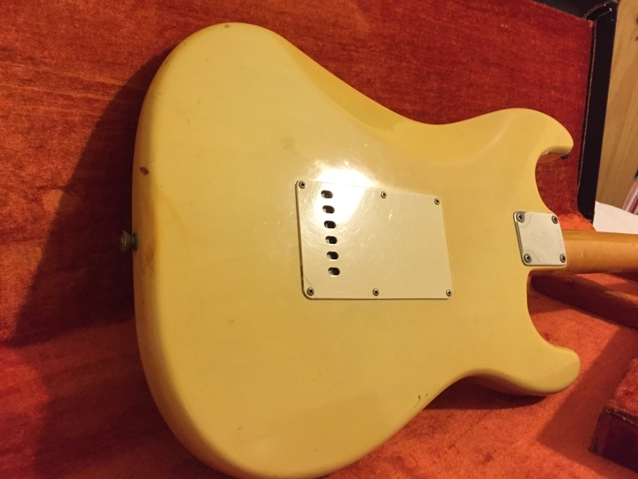 No mods or changes; true unmolested survivor guitar! 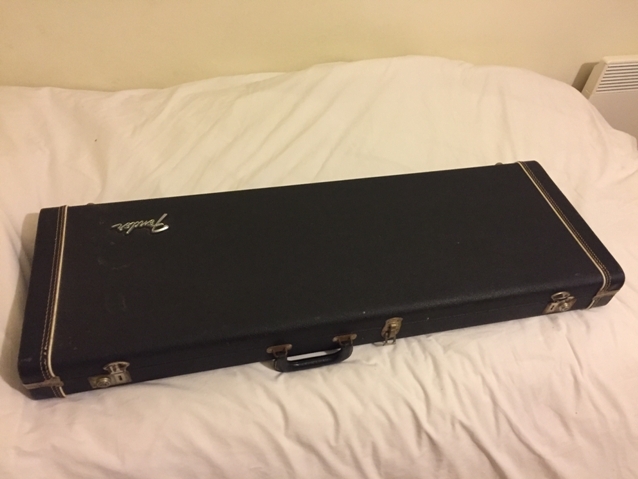 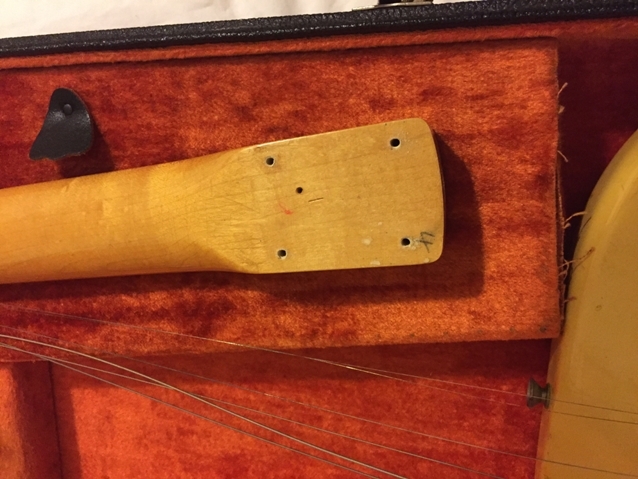 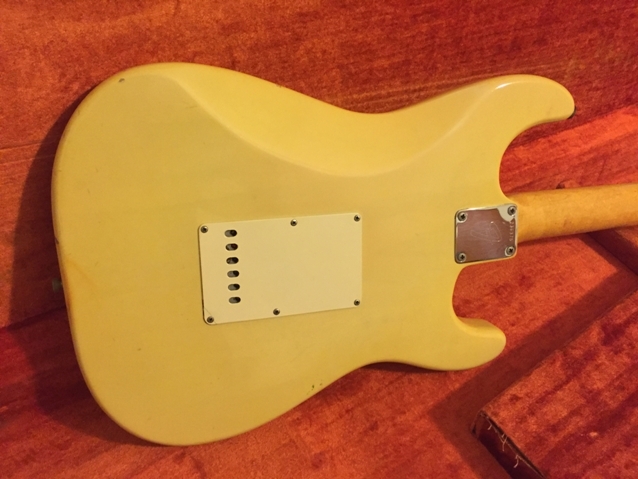 Has some minor case wear and a few nicks, dings, and scratches; owner has lightly etched his name under low E tuner on back of headstock(no big deal, but I did want to mention it). 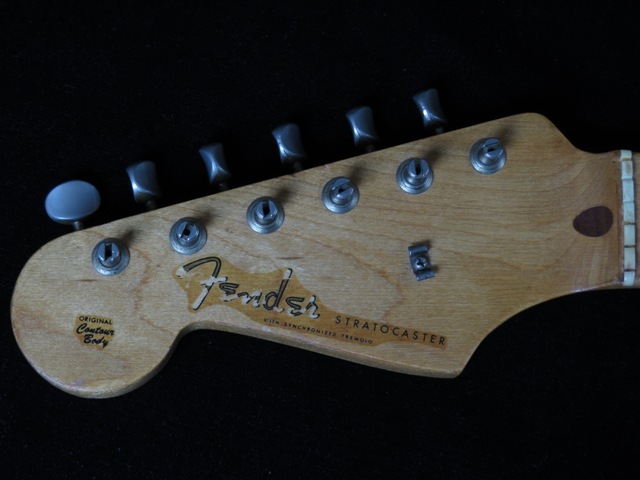 Has “Telecaster®” on the headstock, just like a few 69/70 Teles on the lefty guitar database:http://www.lefty-guitars.de/navigation.html (a 69 & 70 Tele® are shown with similar decals). 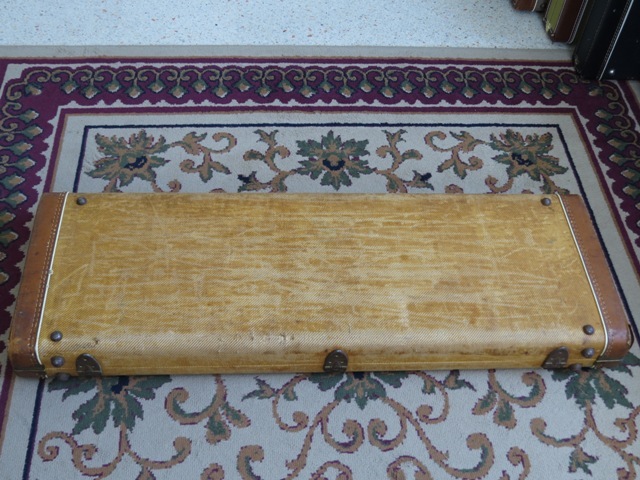 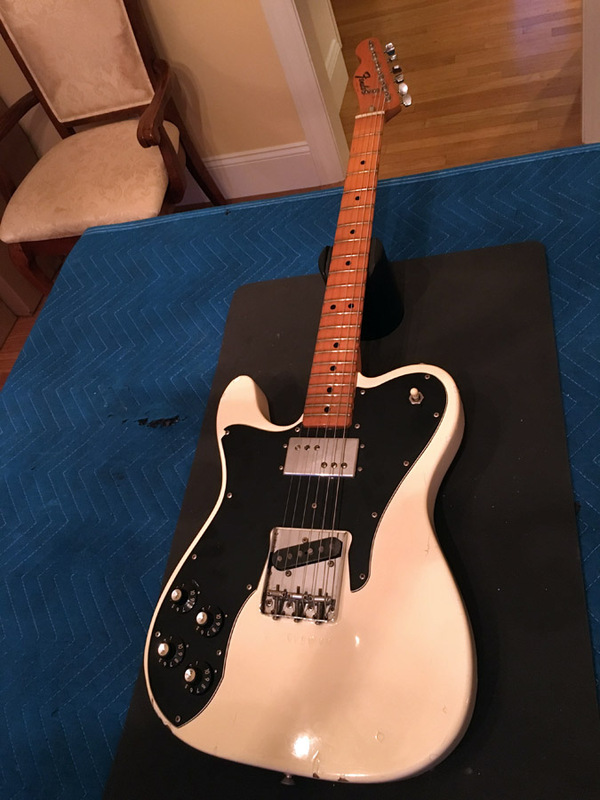 Overall, really super nice condition and ready for you vintage Tele® collection! 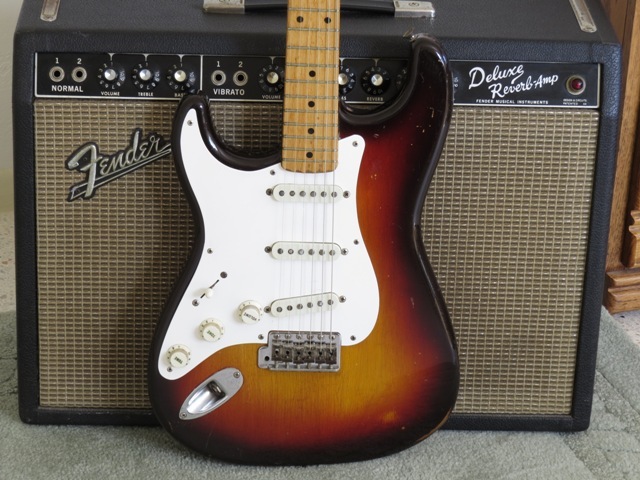 As far as Fenders go, I’m usually more into Strats and not so much Teles……… until I played this guitar. Has tremendous tone with well-defined bottom notes and a high end that really cuts through. 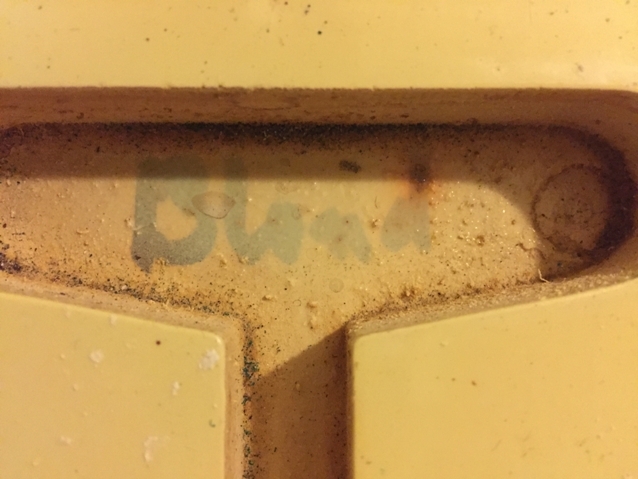 I was very pleasantly surprised! 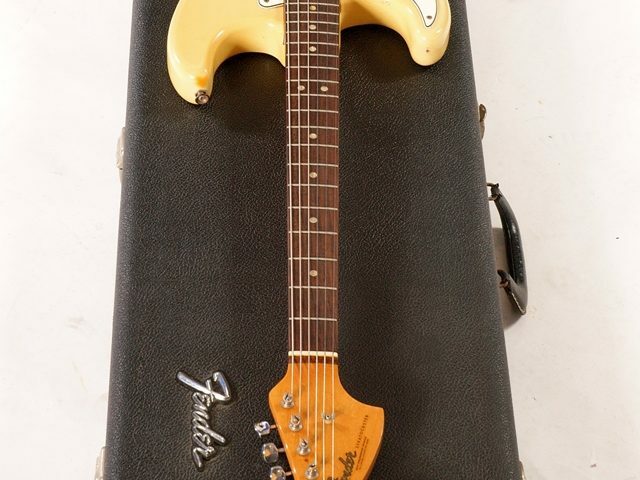 VERY resonant guitar that reminds me of my early 60s Strats. 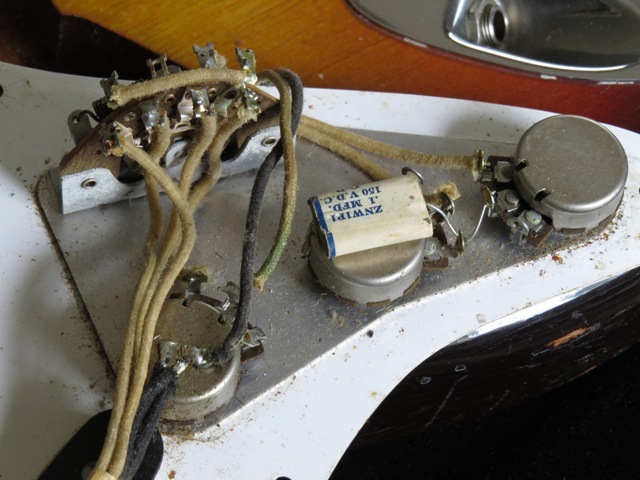 Totally blows away my mint 67 Tele® Custom I had a few years ago; this Tele is a TONE monster! 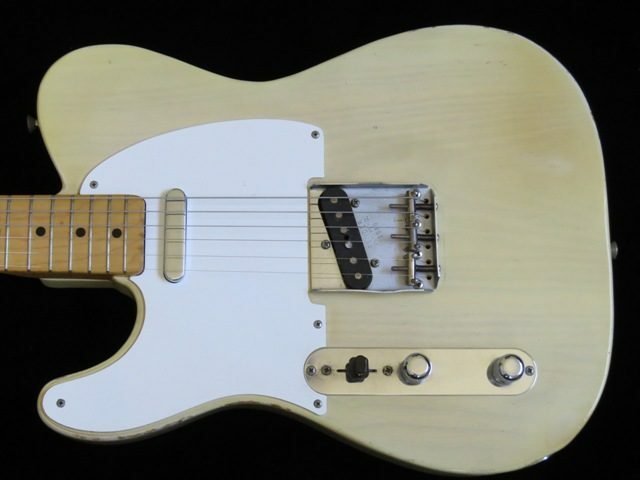 Has just been inspected and set-up(including a fret leveling) by Scott Freilich of Top Shelf Music: take the risk out of buying a lefty vintage instrument and grab this great Tele® before it’s gone! 1974 Fender Custom Telecaster, Single Coil and Seth Lover Humbucker, Rare Lefty! 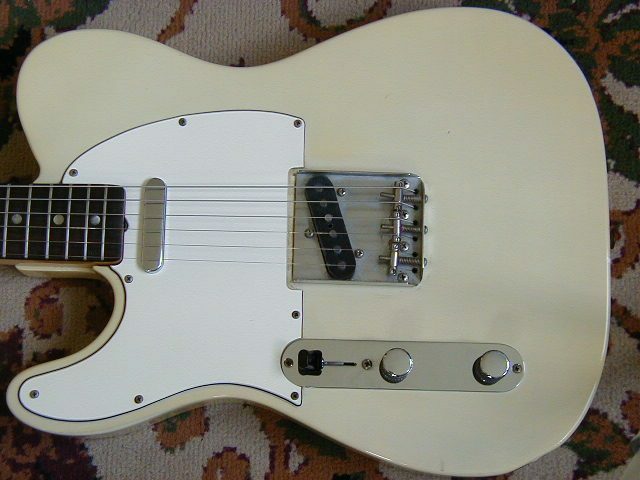 This is a Left Handed 1974 Fender Custom Telecaster, older white refin, everything else original. 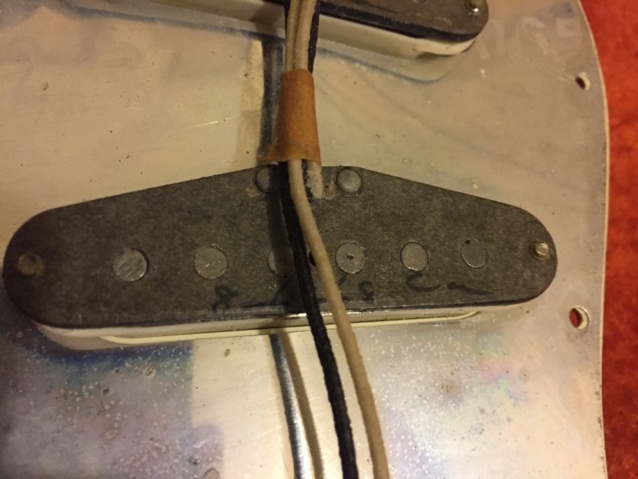 It has the Seth Lover Humbucker in the neck position with the traditional Tele single coil pickup in the bridge position. 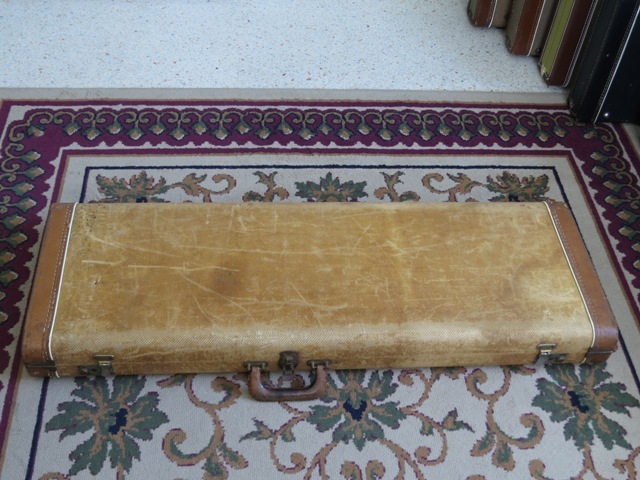 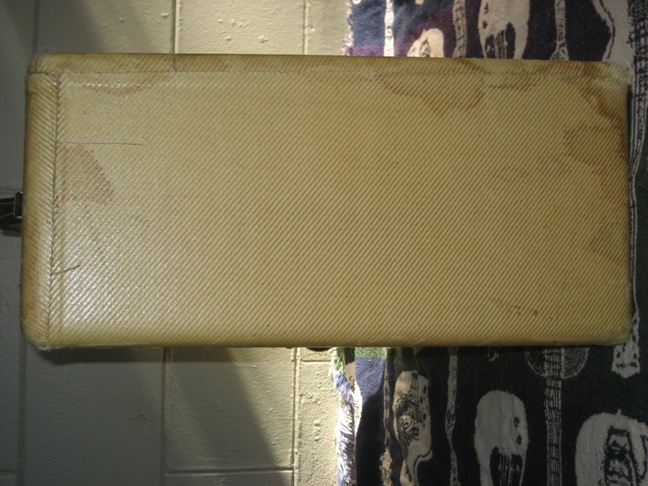 Comes in a newer molded form-fit case. 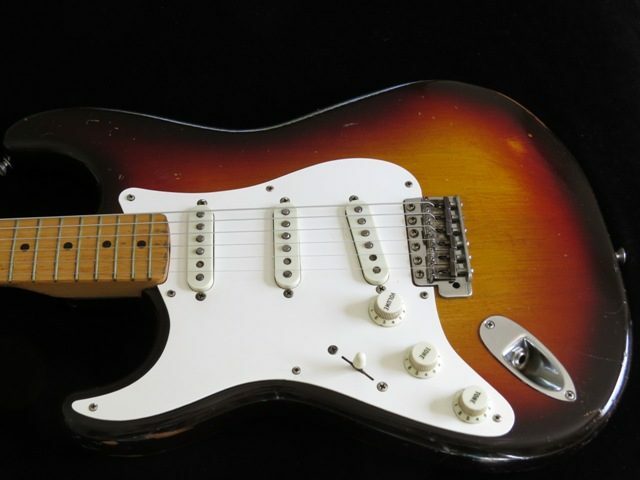 The body has some chips and dings; this is the kind of guitar you don’t mind taking out to the jam or gig. 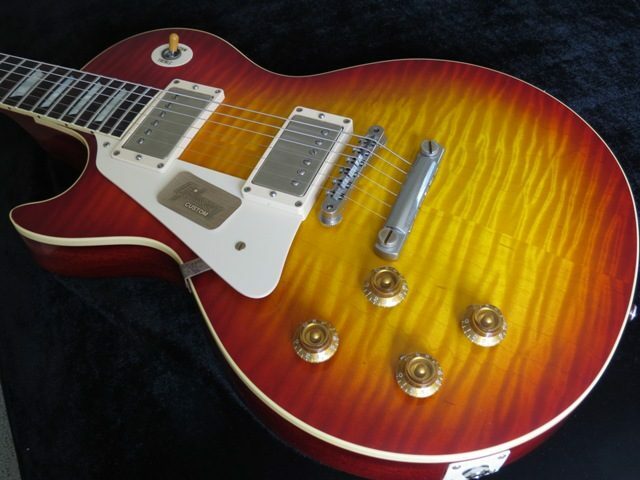 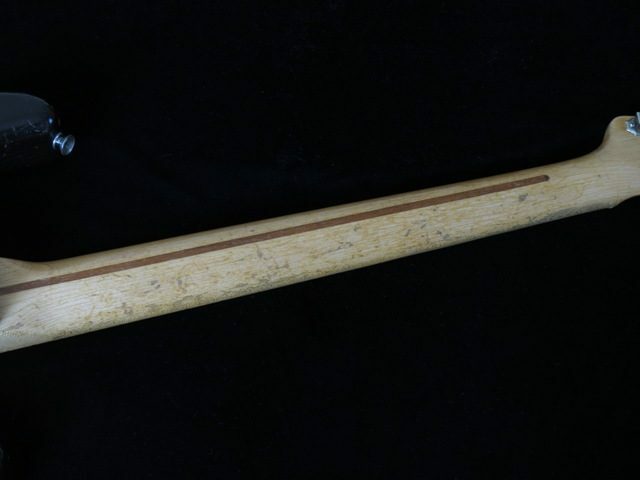 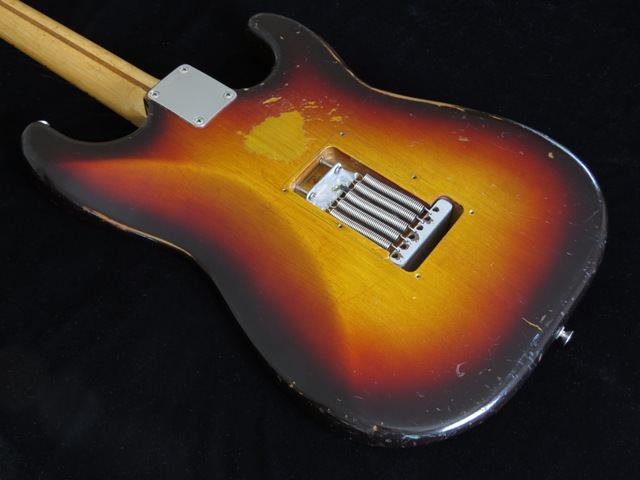 This is a rare model lefty – you don’t see these very often! 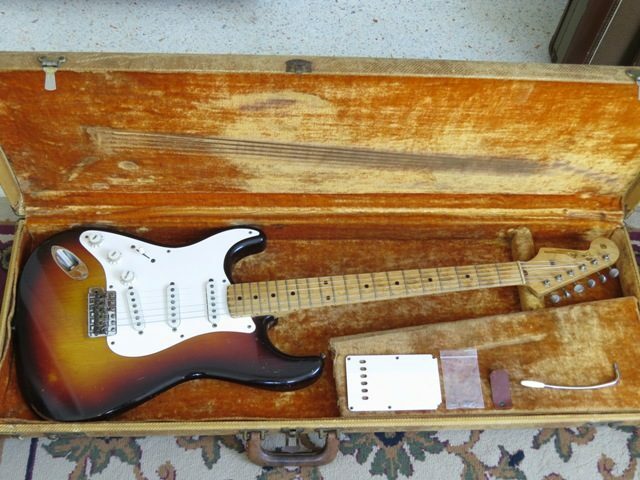 1961 Fender Strat, Rare Lefty Slab Board with OHSC! 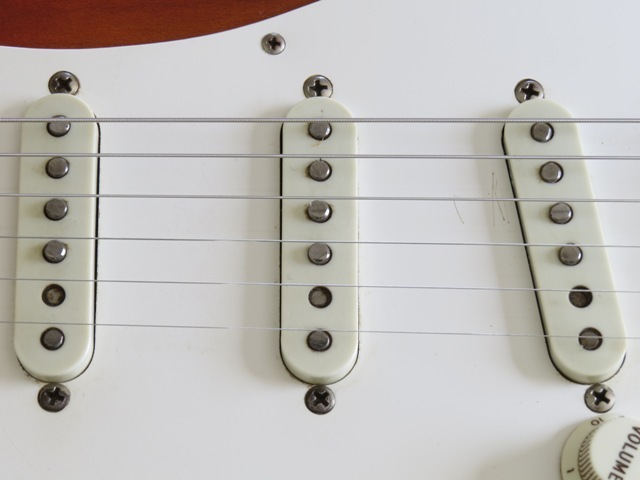 neck plate serial # range(70xxx), and even the exact same neck PUP output(5.89K)! 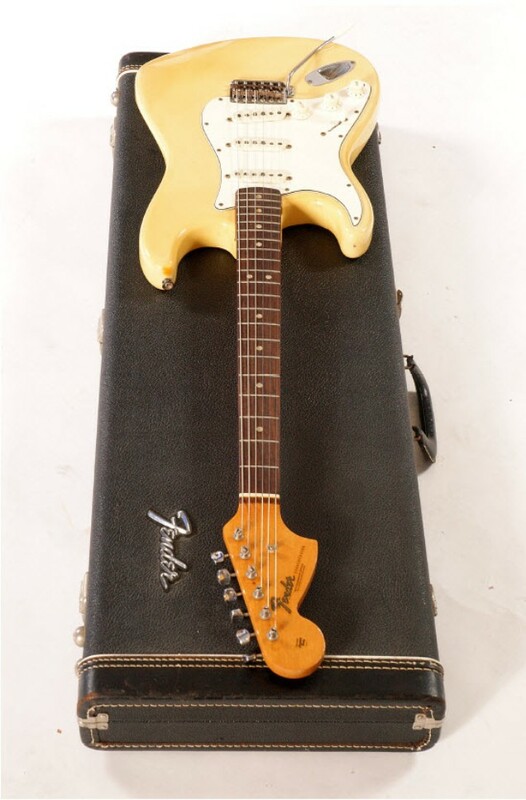 1968 Fender Strat, Extremely Rare Blonde Custom Color! 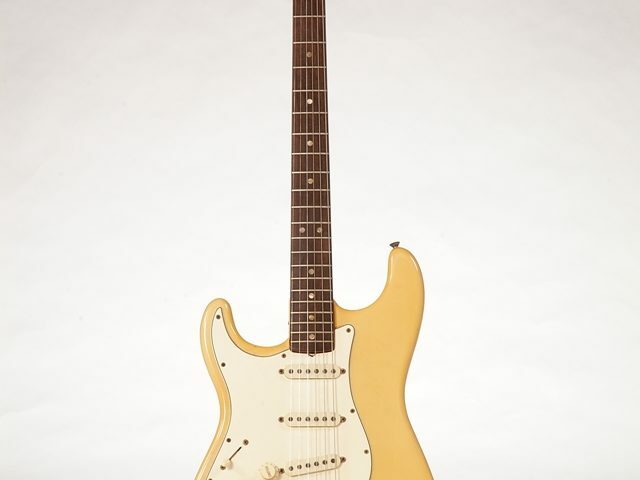 Left Handed 1968 Fender Strat with an insanely rare Blonde Custom Color! 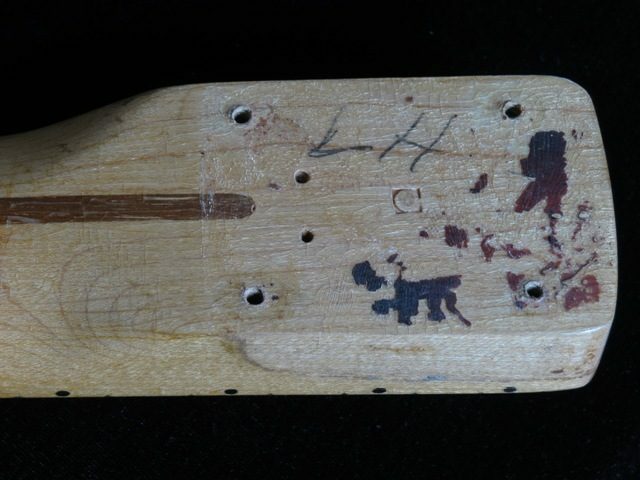 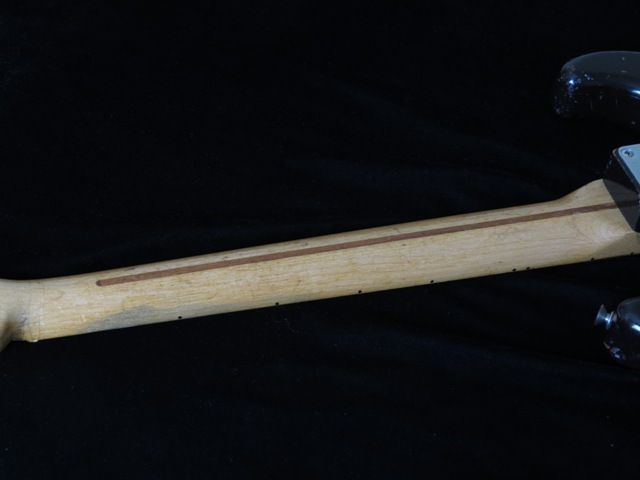 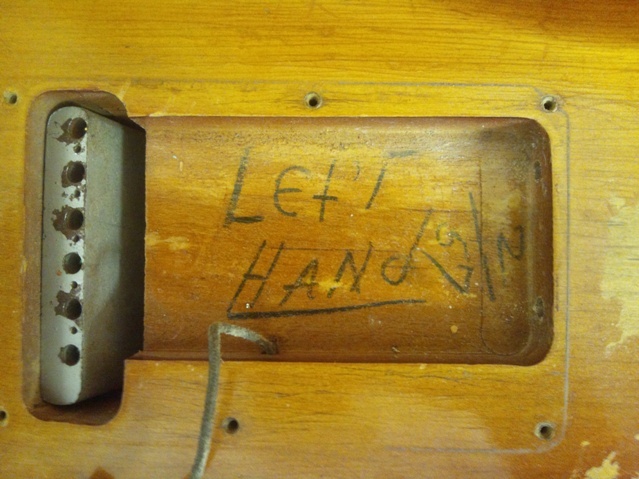 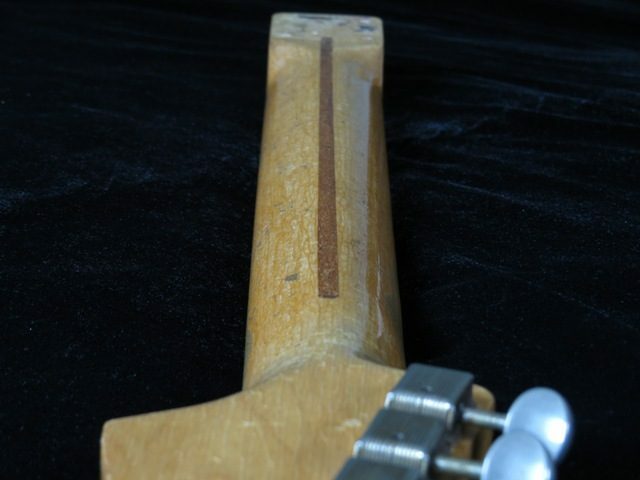 This had to have been a special order guitar – has “Blond” written in the neck pickup cavity(see pic). 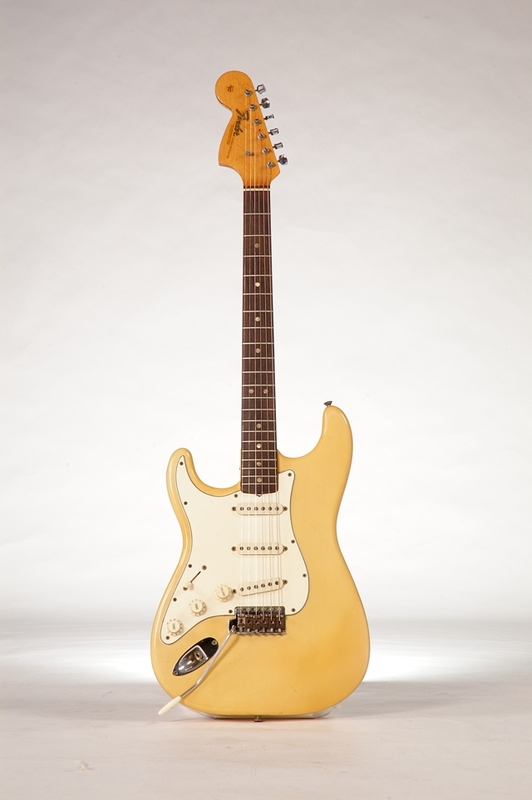 I think I’ve seen one other factory left-handed Blonde Strat, but certainly not from the Hendrix era(both the white Woodstock and black Band of Gypsies Strats were from 1968). 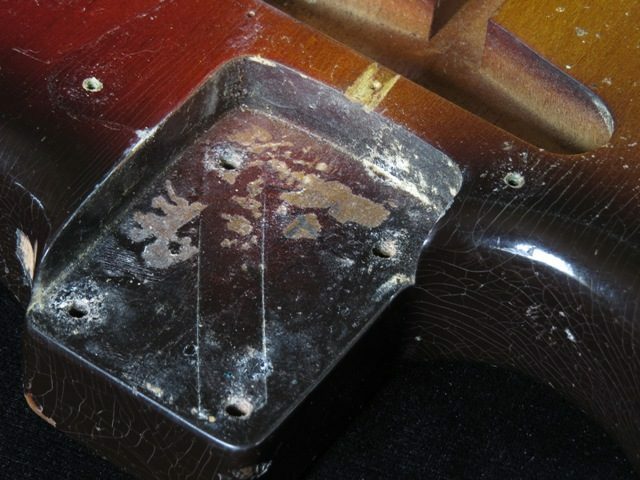 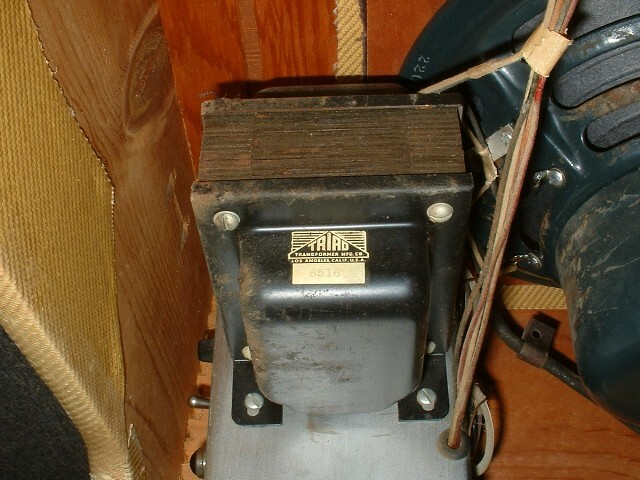 The Guitar looks very clean and straight, with only the volume pot replaced with a later pot from 1977. 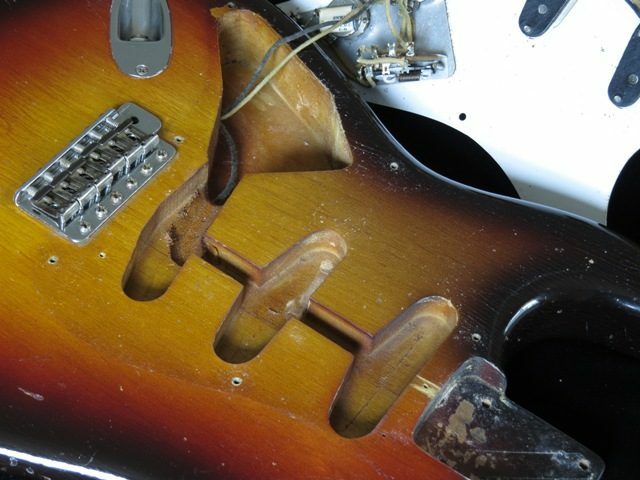 The guitar has just been set up by the pros at The Guitar Factory in Orlando, FL and needs nothing. 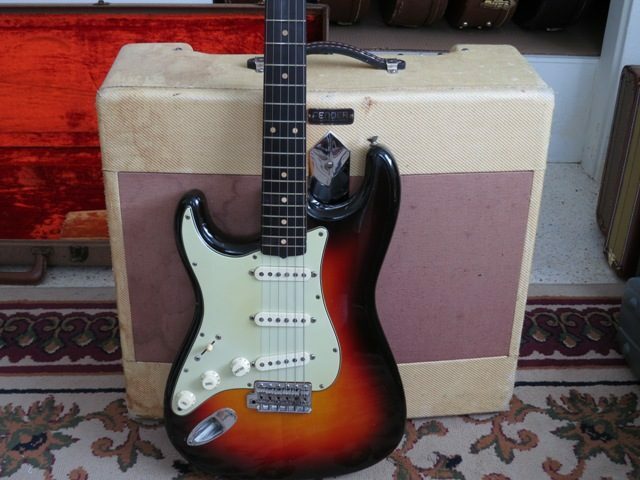 1965 Fender Strat, EXC Condition, Great Sounding Lefty Vintage Strat! 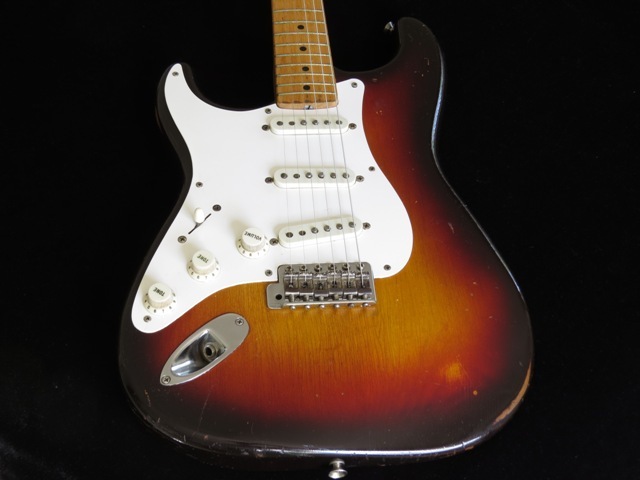 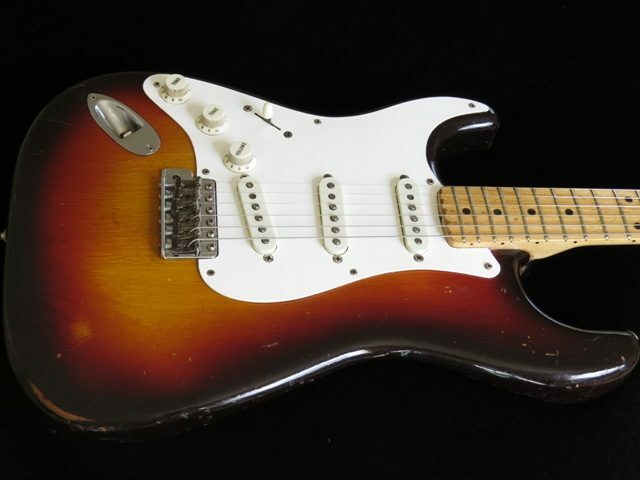 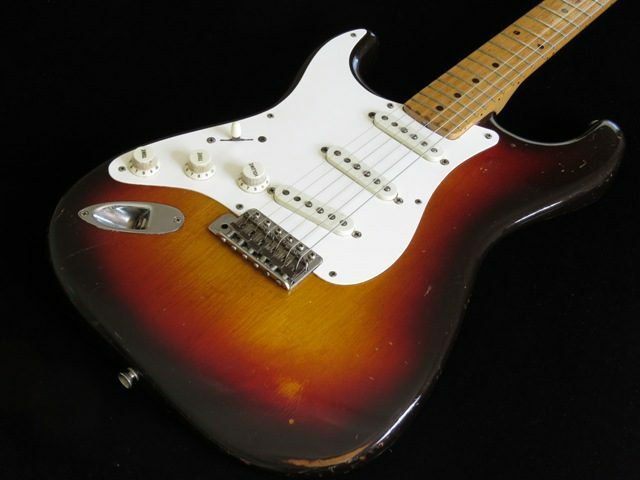 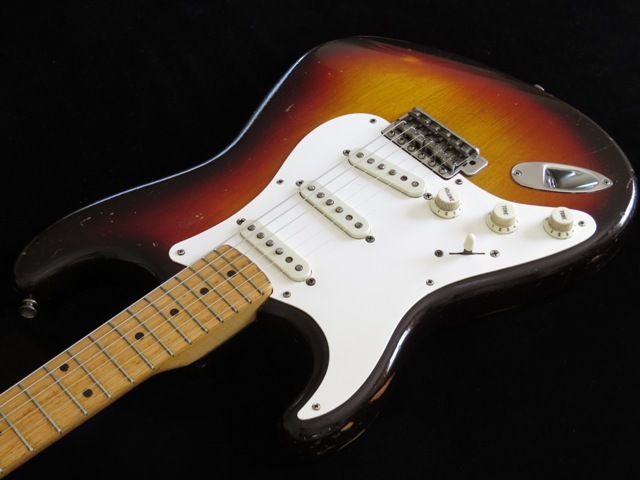 This is a Left Handed 1965 Fender® Sunburst Strat® in EXC condition. 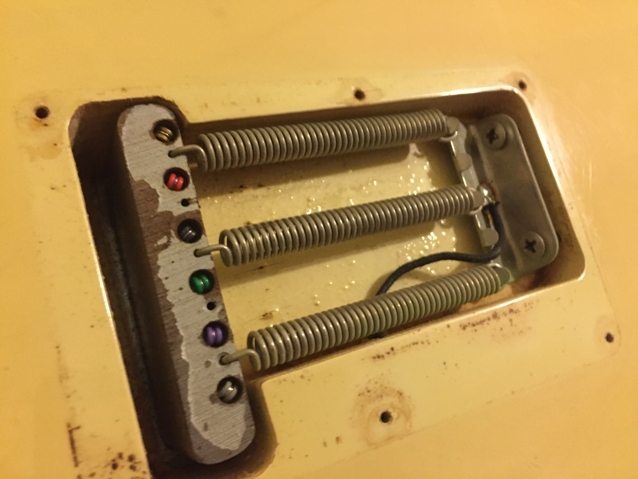 All original except for replaced nut, currently has 5-way switch(period correct NOS 3-way in the case with original box), bridge pickup has been rewound but is original, trem cover is missing. 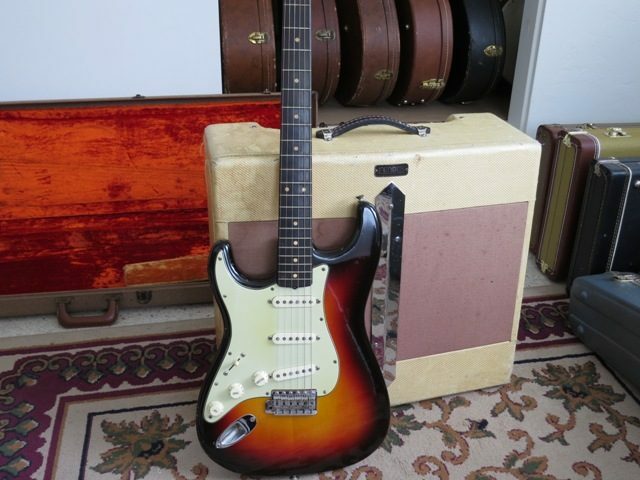 This is a vintage Strat I sold back in 2011 and was able to repurchase recently. 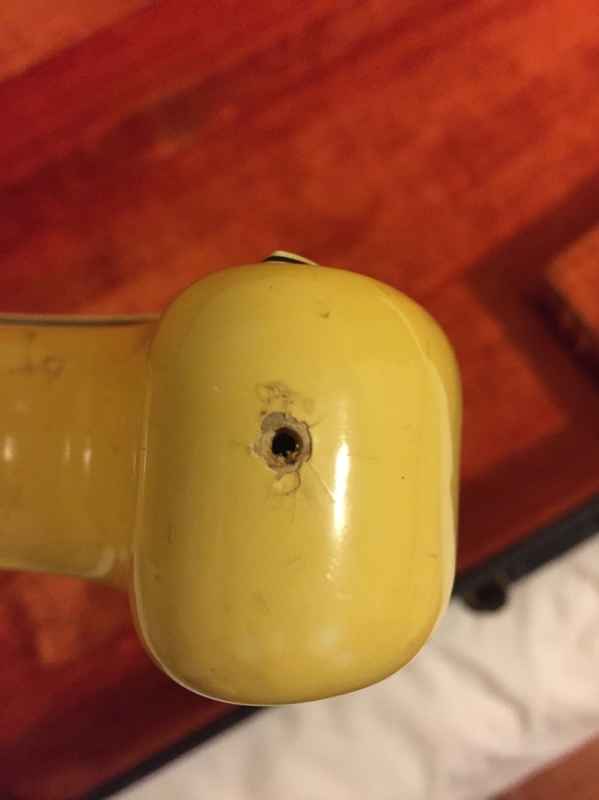 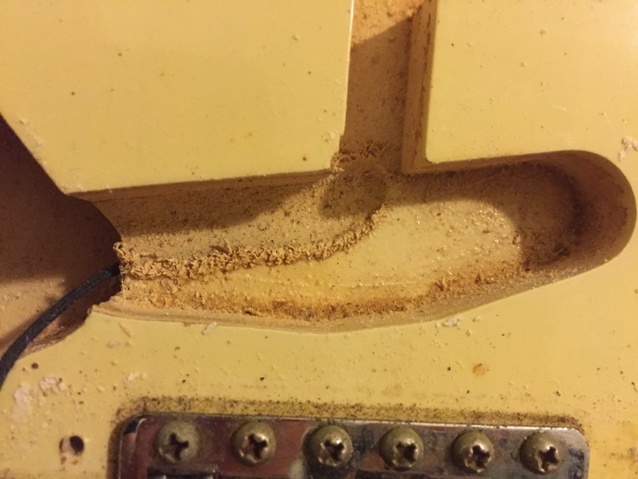 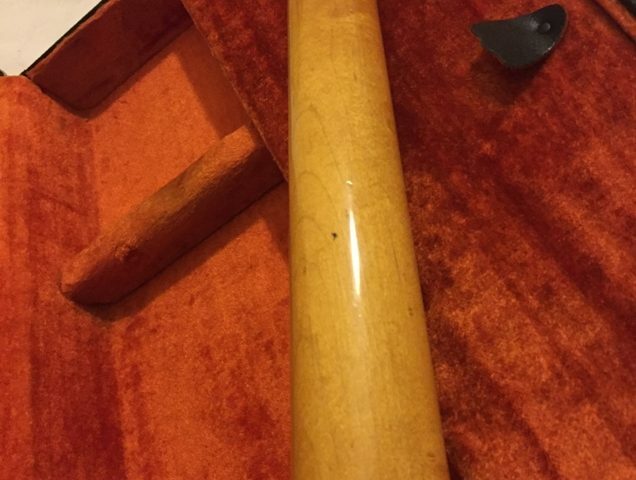 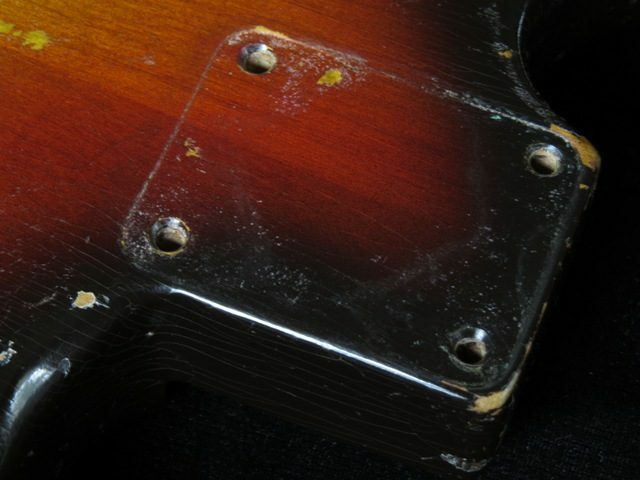 The guitar is in the same condition as when I sold it. 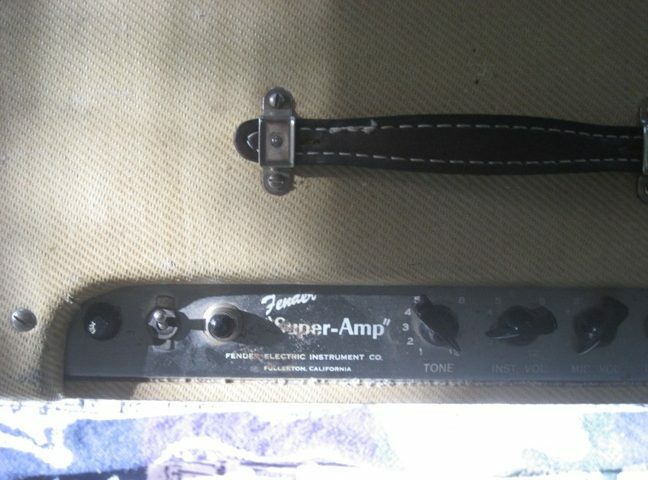 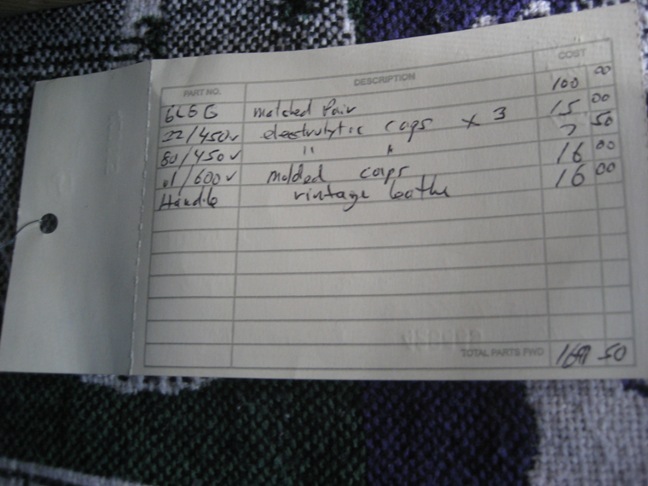 All pics, both internal and external, were taken recently. 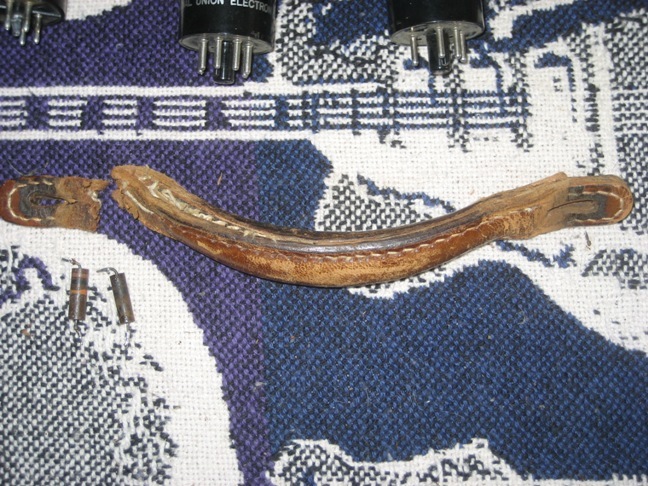 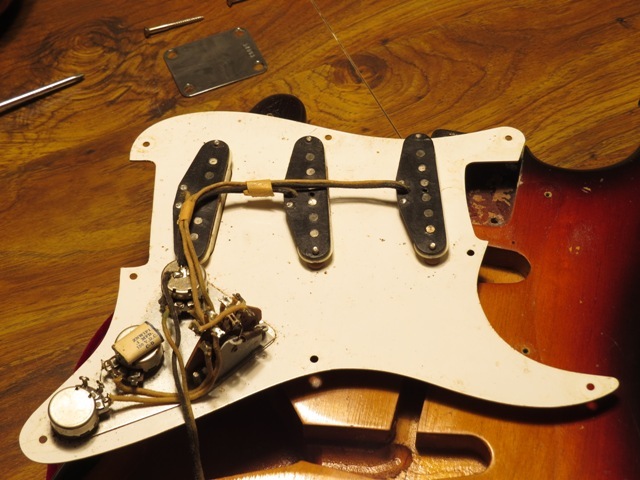 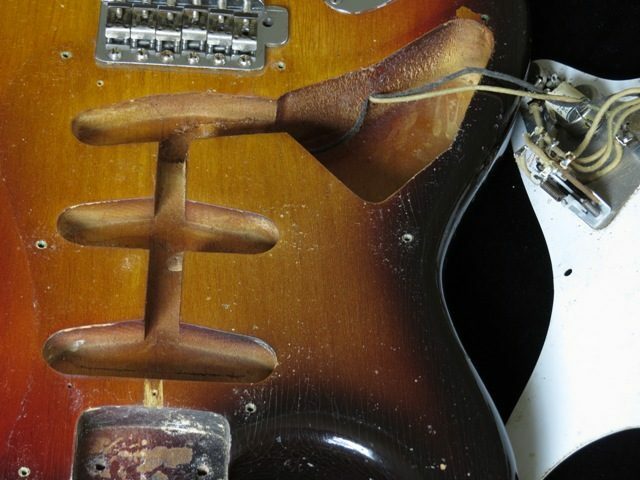 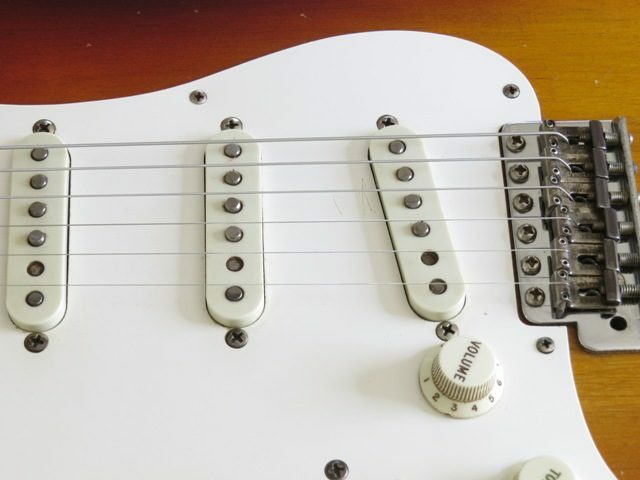 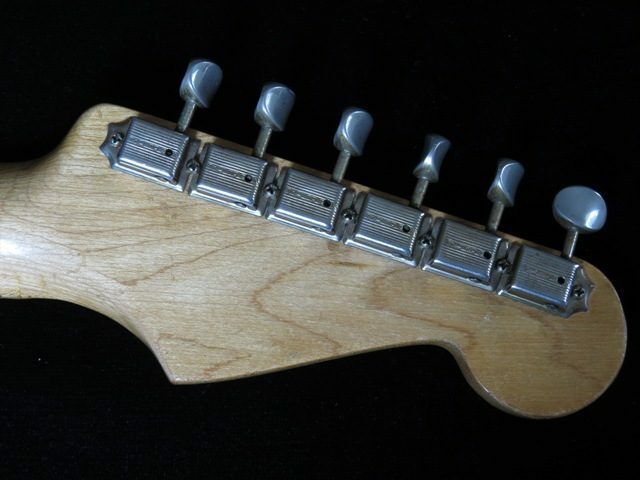 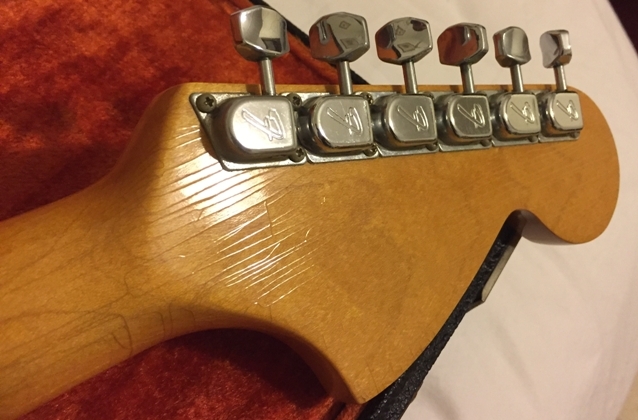 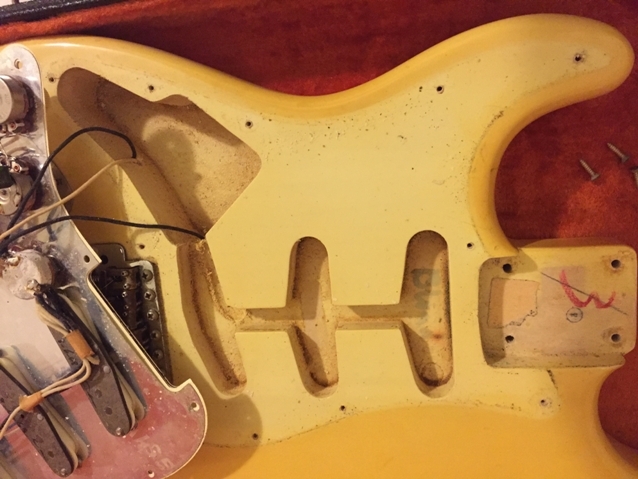 This Strat was originally inspected, examined, and set-up by Scott Freilich of Top Shelf Music in 2011. 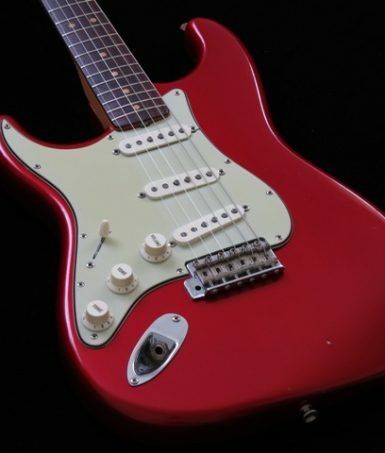 It was also recently reinspected and set-up by Scott on March 29, 2018.
rare vintage lefty Strat in a Custom Color(Leo Fender’s favorite color was in fact Candy Apple Red). 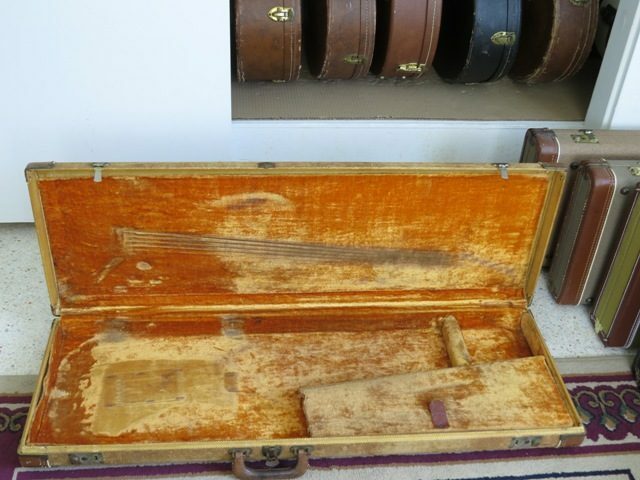 The guitar is in very clean condition; I’d call it a Near Mint, 9/10 condition. 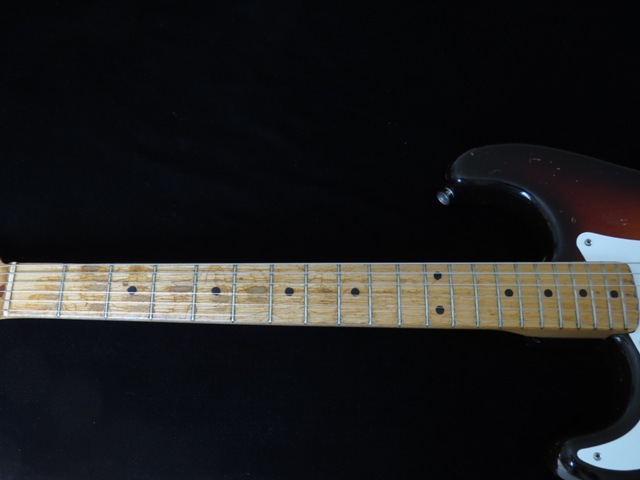 Left-Handed 1956 Fender Tele, 100% Original, EXC Condition with OHSC, Extremely Rare Vintage Lefty! 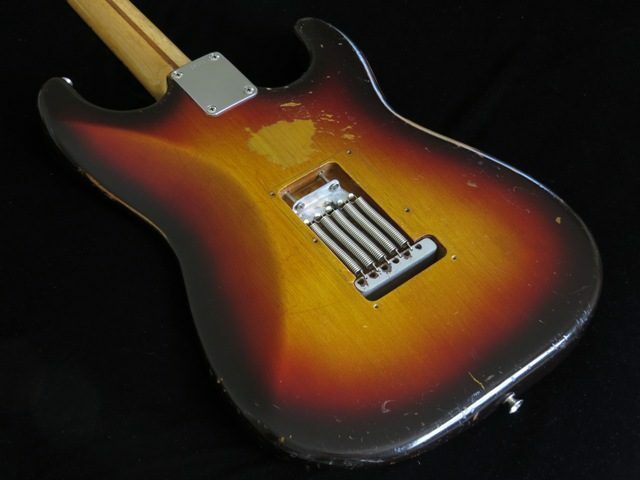 Left Handed 1956 Fender Tele, 100% Original, OHSC, EXC Condition. 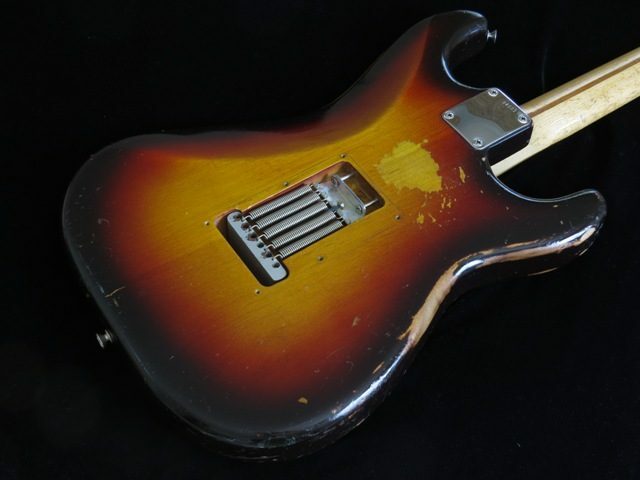 This is an extremely rare, desirable, and unmolested lefty vintage guitar-I have only seen 2 other lefty Teles from the 50s! 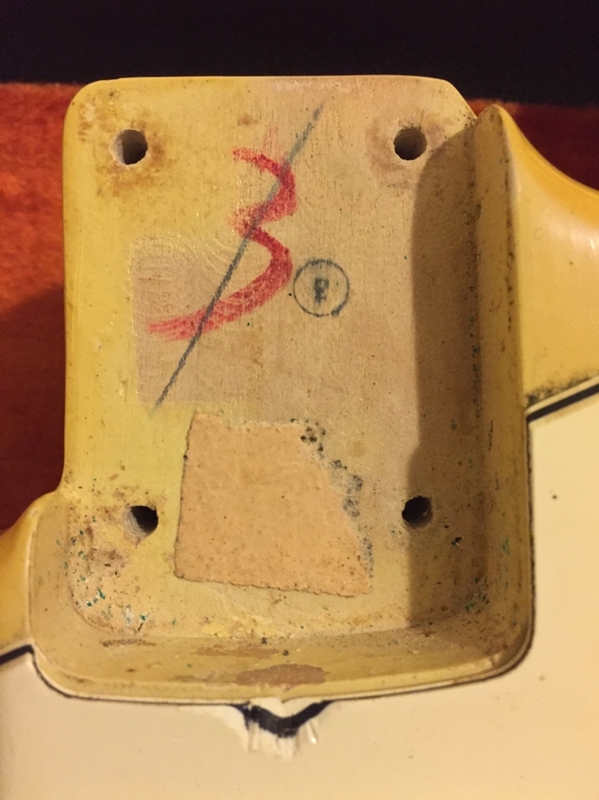 Body is dated 1954, neck is dated 7-55, pots are Stackpole 304620(20th week of 1956), neck plate is 113xx. 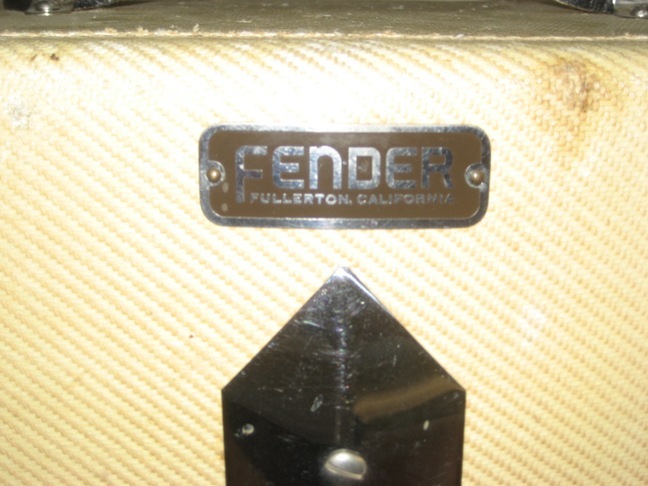 Fender probably made a run of a few lefties from 1954, so they used what bodies were available in later years from that original inventory, something we’ve often seen with Fender lefty vintage guitars from the 50s and 60s. 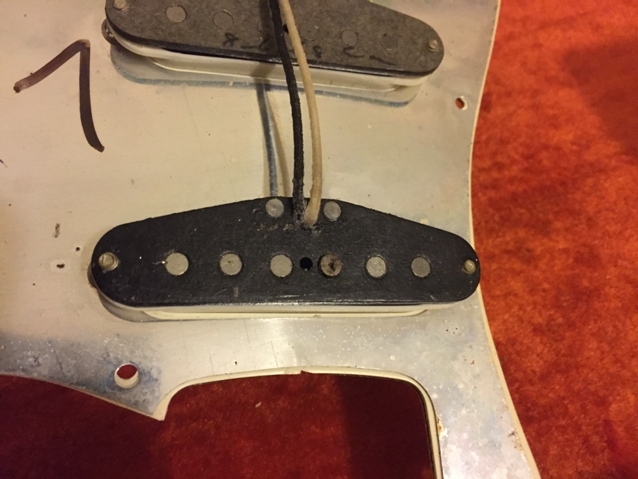 Has Lefty markings on bottom of bridge PUP, bridge PUP cavity, and bottom of neck(see pics). 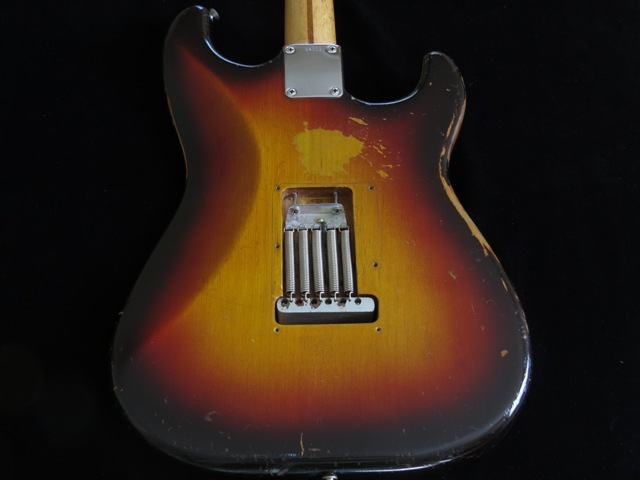 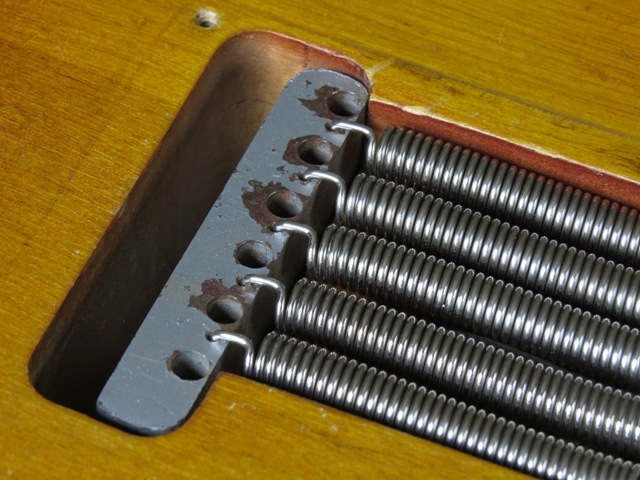 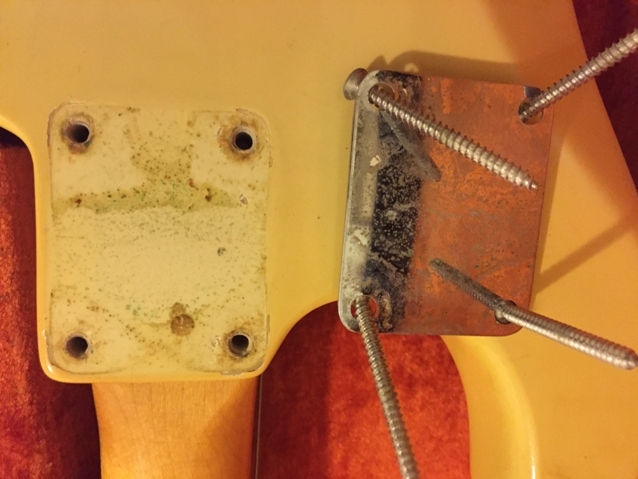 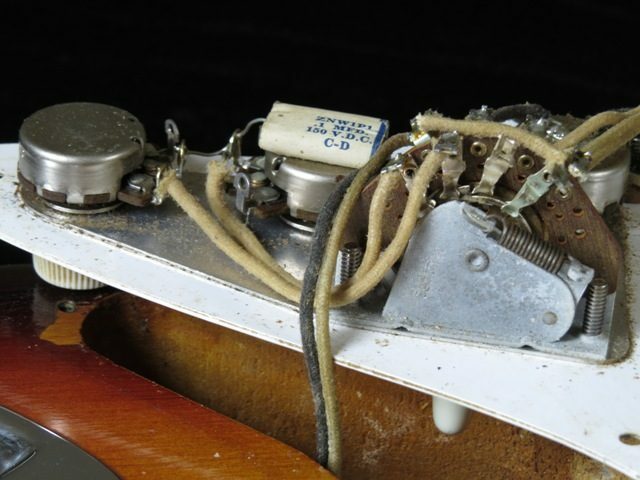 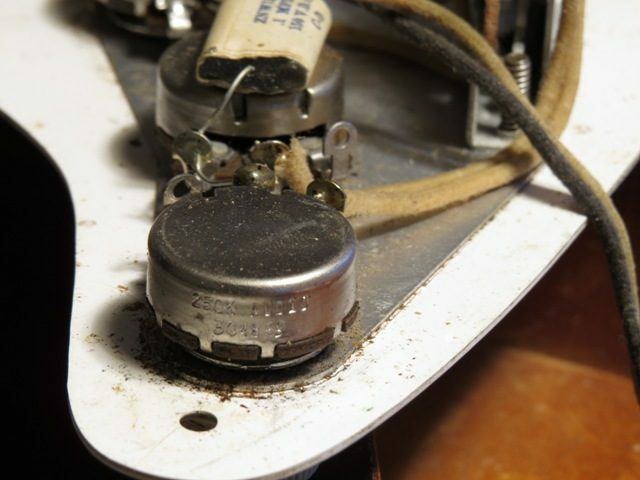 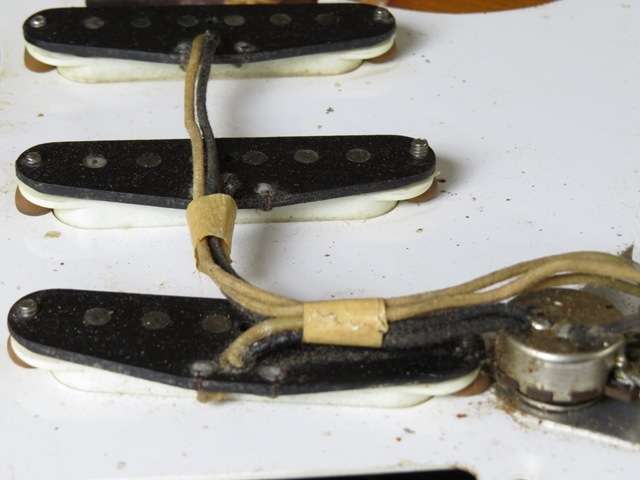 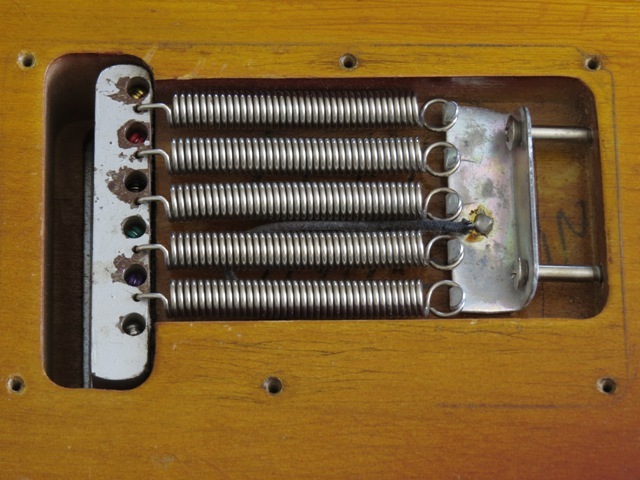 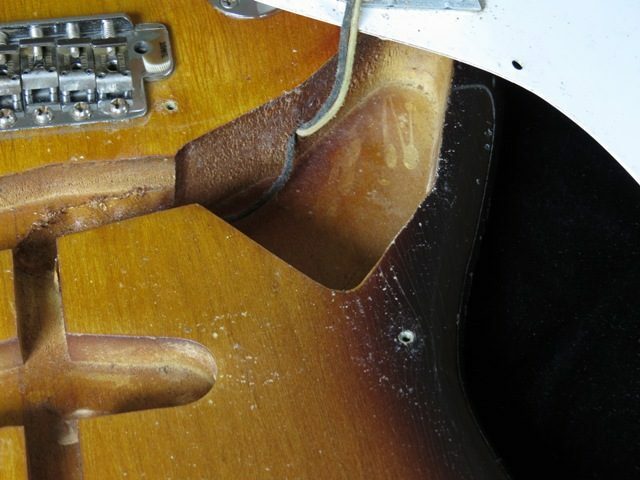 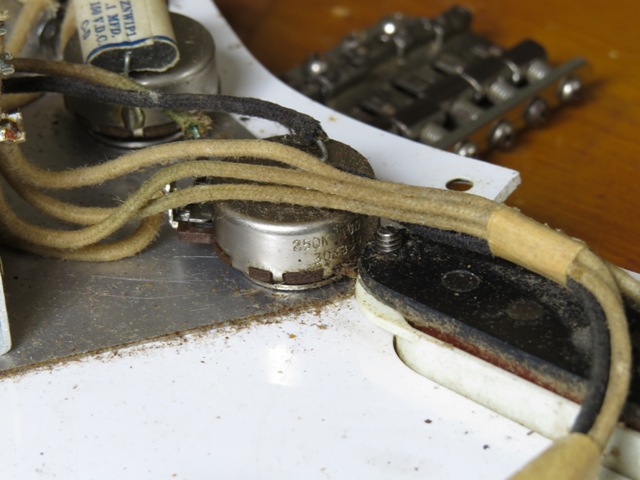 As is consistent with the other 2 lefty 50s Teles, the bridge is stamped in the 196x range(1960). 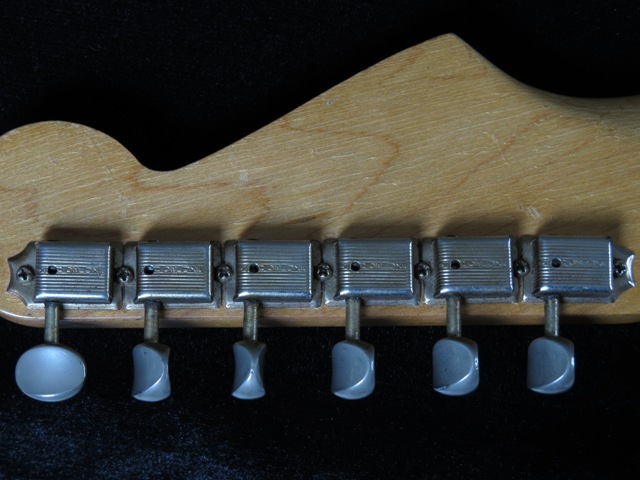 This is something mentioned in THE book on Teles: AR Duchossoir’s The Fender Telecaster on p.70(a detailed discussion of bridge plates) and on p. 78(the use of random serial #’s in dating bridges on the earliest Teles). 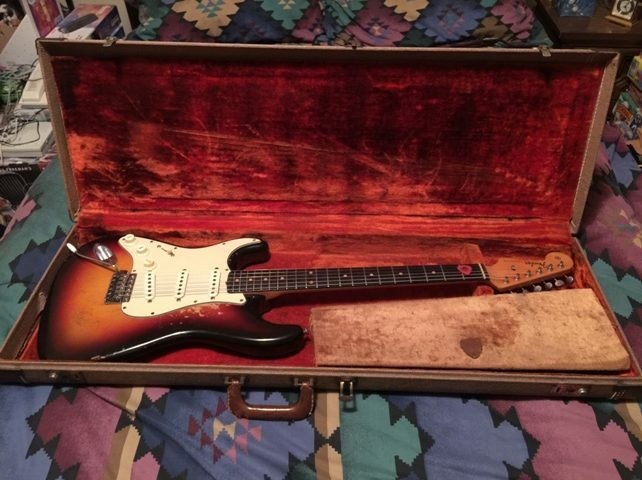 LEFTY 1958 Fender Strat, 100% Original with OHSC, Amazing Strat! 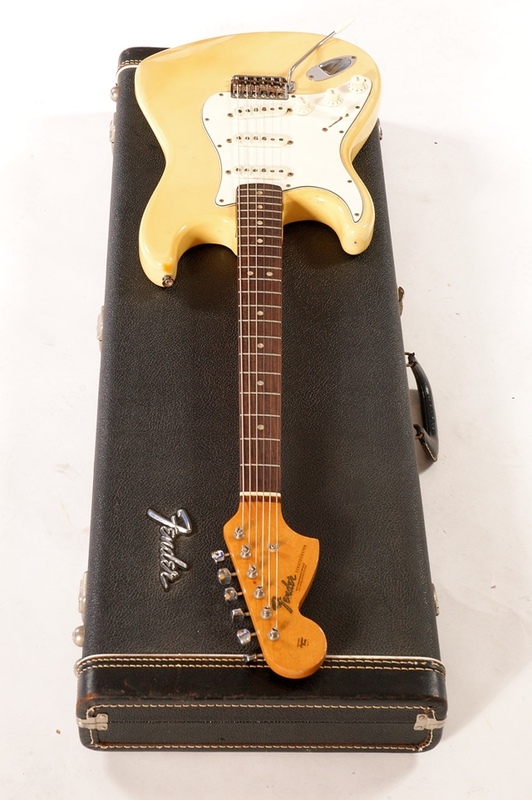 I’ve been thinking of the appropriate adjective to describe this 1958 Strat. 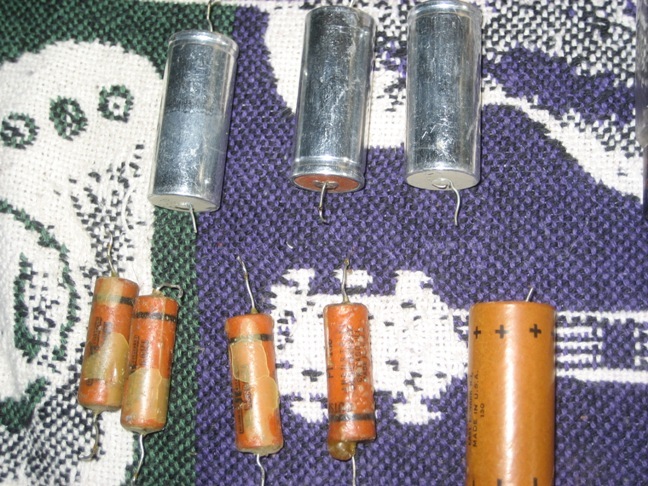 I haven’t been able to come up with just one word, so I’ll just call it Pure Dynamite! 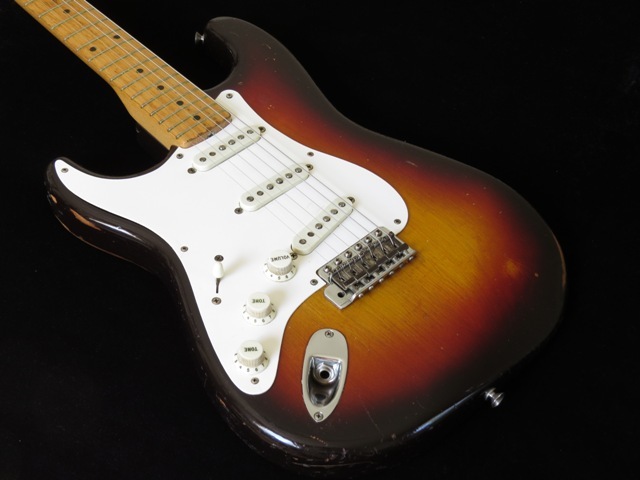 This is simply one of the best Strats I’ve ever had the privilege of playing, including my favorite 1961 Slab Strat. I didn’t think that I would find one that rivaled the 61, but this guitar is the one! 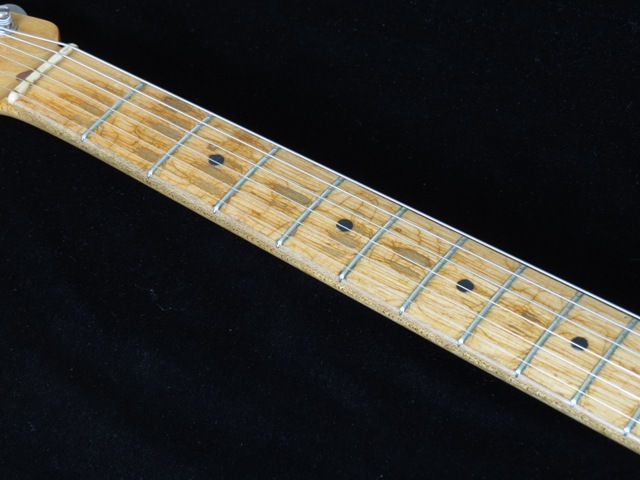 It has an unbelievable neck PUP(my favorite PUP on a Strat). 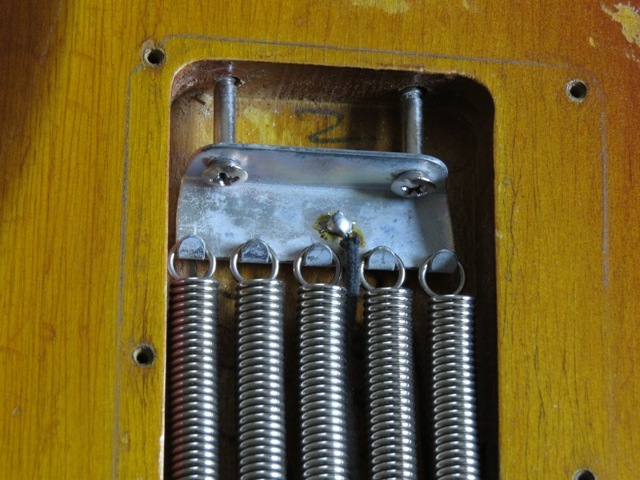 The Tone is mind blowing and mind altering all in one: clearly-defined notes on the wound strings, deep mids, and musical highs without the ice-pick effect, all in a hugely resonating 3-D experience that prevents you from putting this one down. 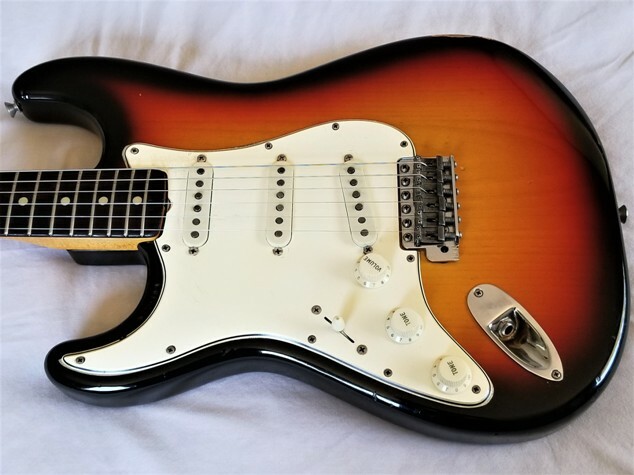 You know the Otis Rush line, I Can’t Quit You Baby, I think I’m gonna put you down for a little while; he’s obviously not talking about this guitar, because you Can’t Put it Down….Not Even For A Little While! 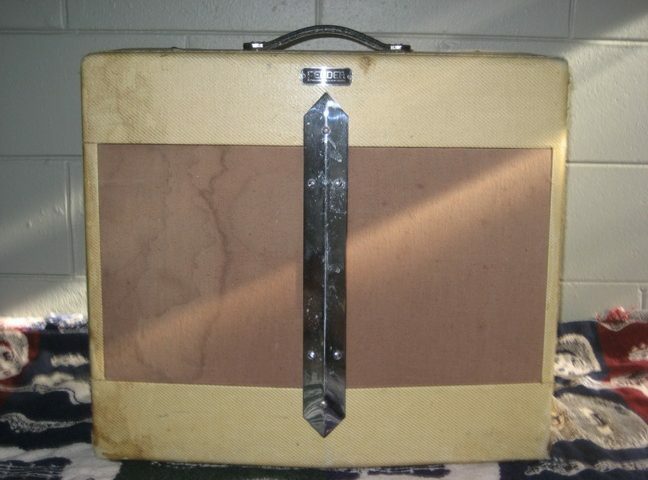 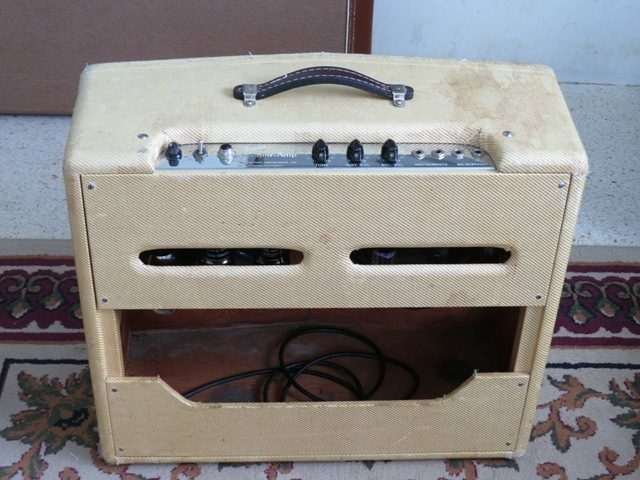 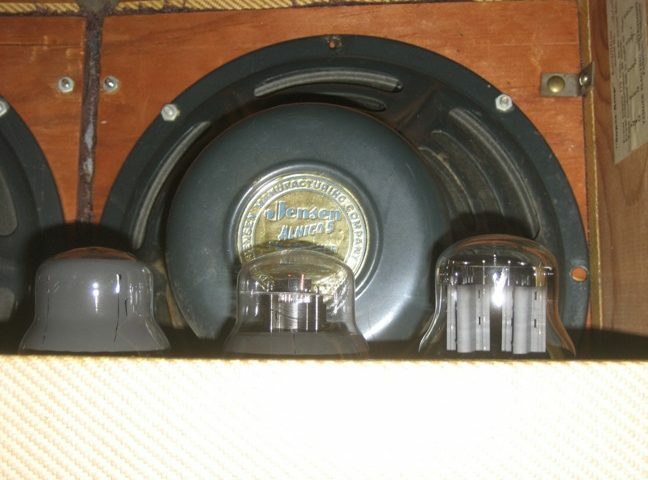 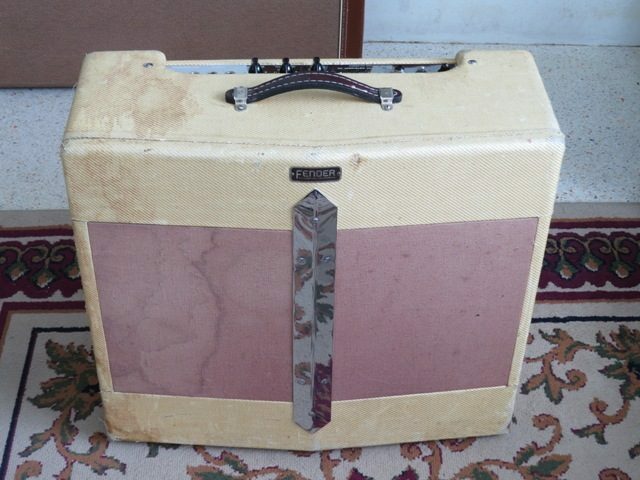 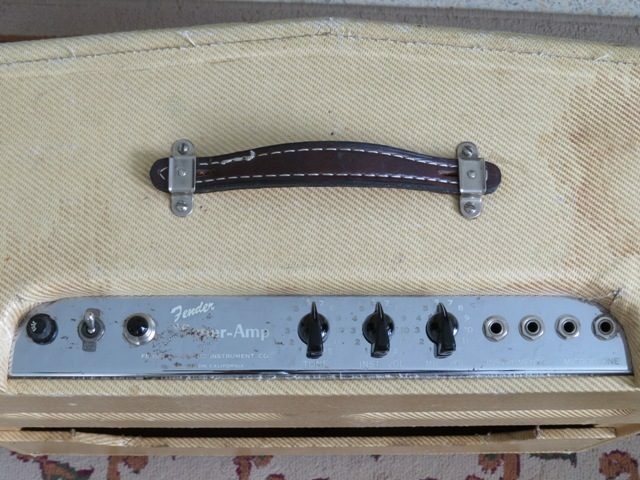 1952 Fender Super V-Front Amp, EXC Condition, Recently Serviced! 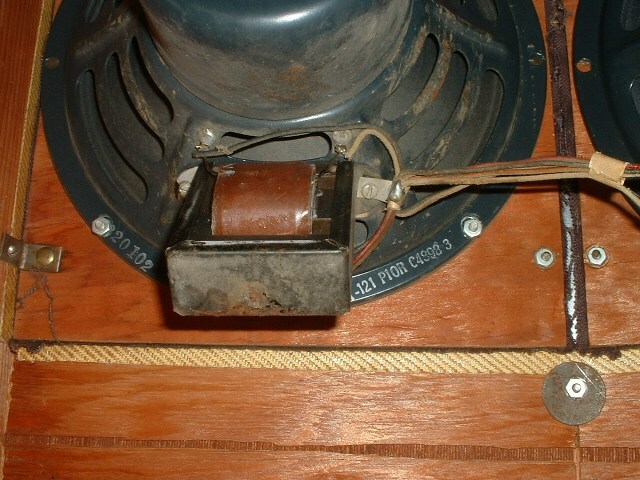 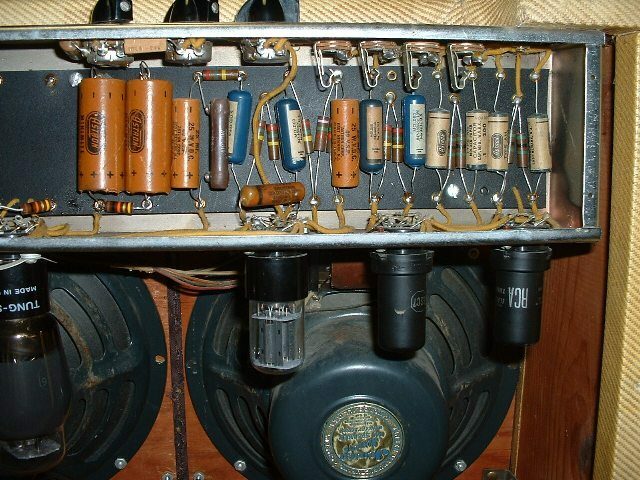 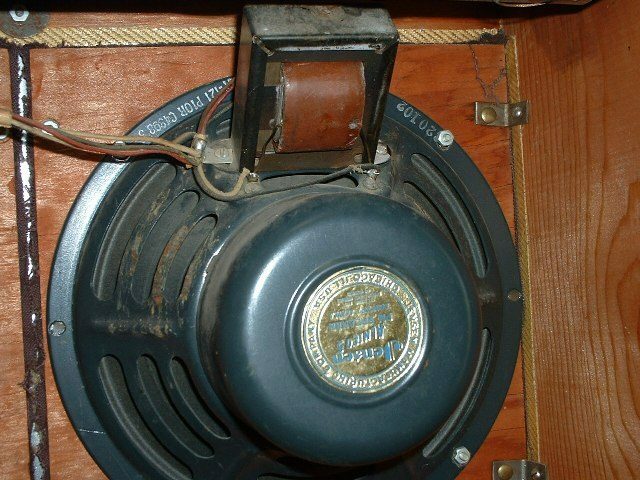 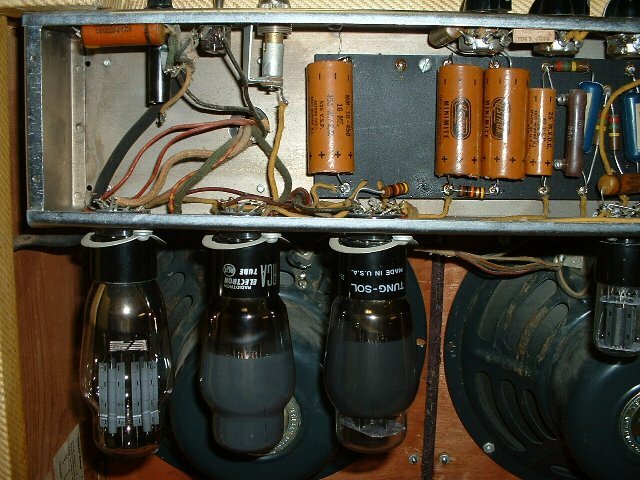 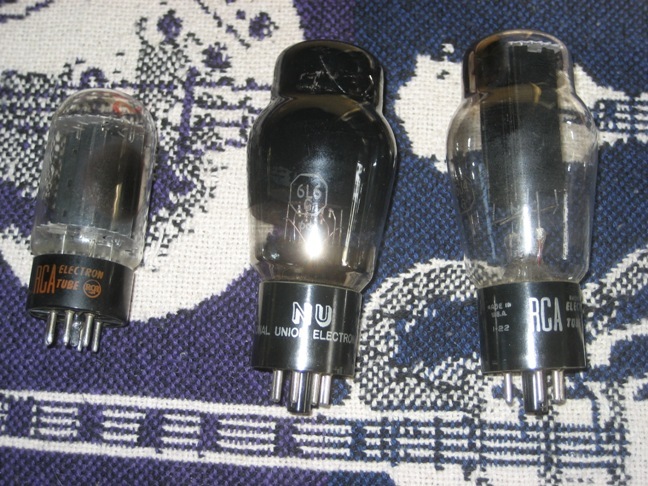 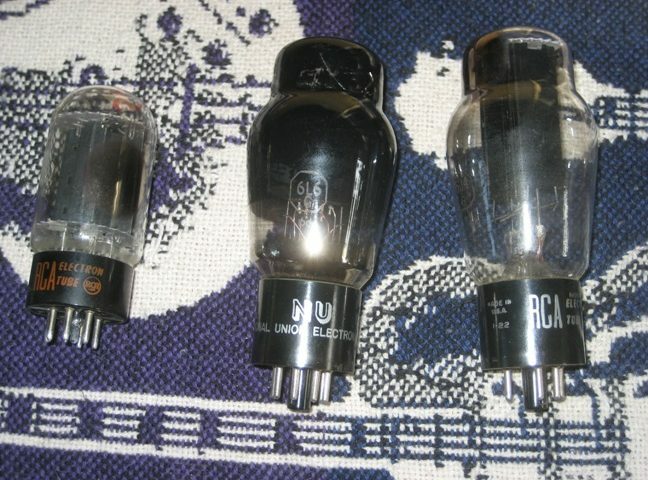 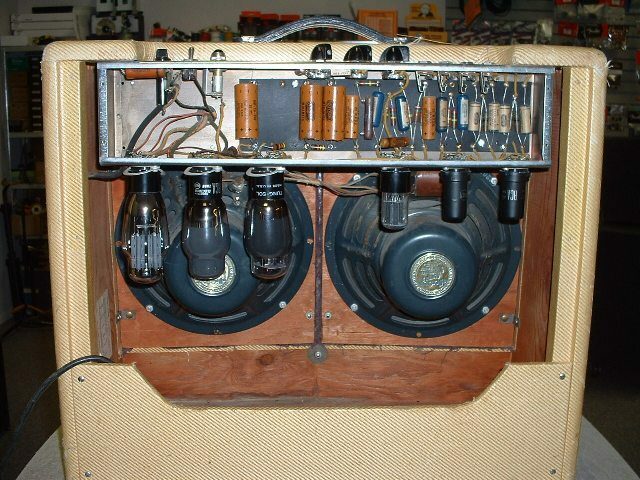 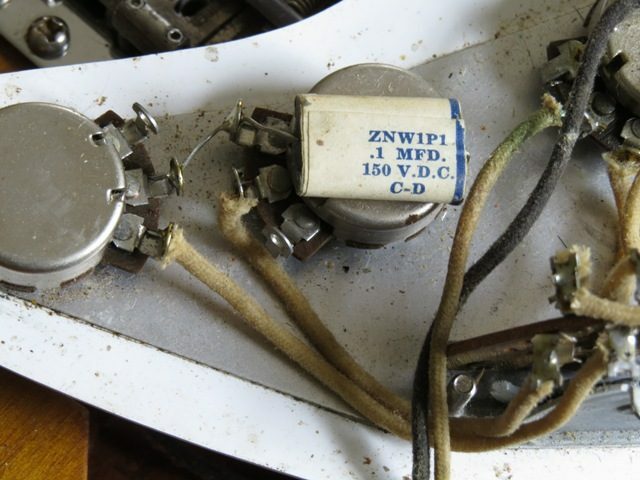 Your speaker will look the same after reconing. 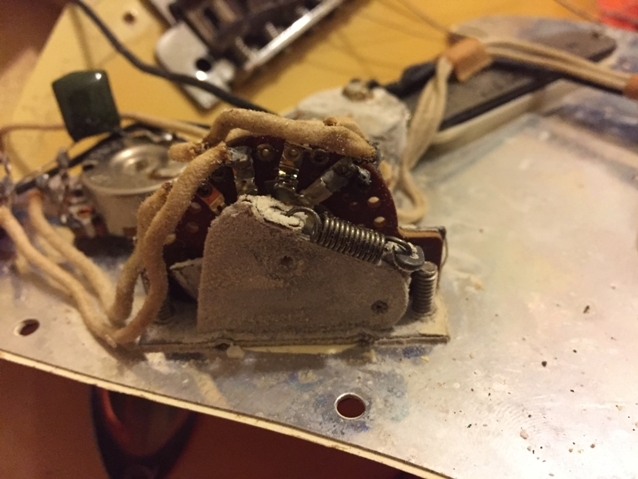 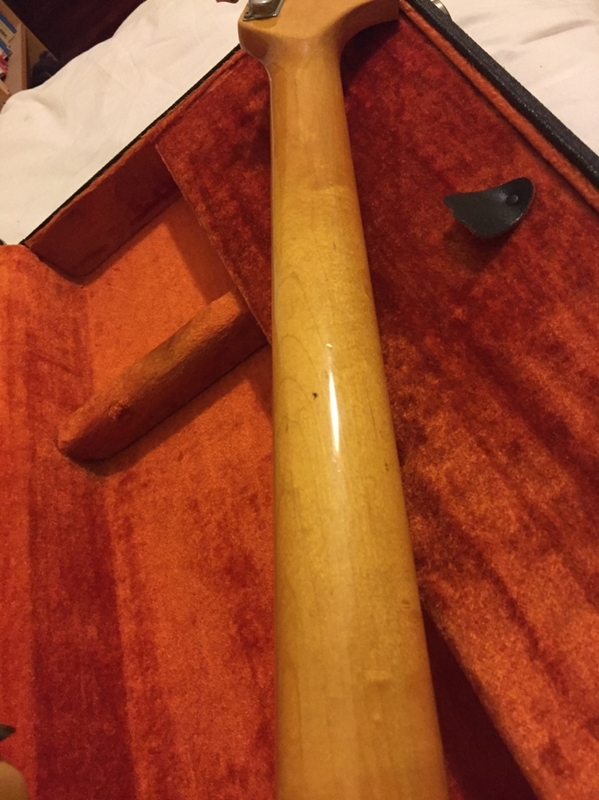 The same cone will be used and we save the original tan gasket and use a charcoal gray felt dust cover like the original, and the voice is wound exactly like the original so the sound will also be the same.